Sabiniano, Nathaniel; Taken on strength as a Gunner in 15th Field Artillery Regiment RCA on 28 Jan 1988, released on 3 Mar 1988. Sadler, Peter Murray; Taken on strength as an Artillery Officer on 20 Jul 1976, transfered to 15th Field Artillery Regiment RCA as a Captain on 18 Apr 1982, released 31 Oct 1982. Sadler, William; Attested 38th Battery 10th Brigade Canadian Field Artillery Canadian Expeditionary Force 8 Apr 1916, regimental #301742, embarked St John 26 Feb 1916, arrived Plymouth 12 Mar 1916, while on Active Service asleep while on picquet awarded 5 days Field Punishment #2 and 5 days forfeiture of pay 23 May 1916, embarked for France 13 Jul 1916, invalided accidental fracture tibia and posted to Canadian Artillery Regimental Depot 28 May 1917, cause of fracture – stepping in a shellhole during an organized football game against 39th Battery, attached 2CCD 20 Oct 1917, cease attachment 18 Dec 1917, taken on strength Reserve Brigade Canadian Field Artillery 18 Dec 1917, taken on strength Composite Brigade Canadian Reserve Artillery 23 May 1918, taken on strength 68th Battery 16th Brigade Canadian Field Artillery North Russia Expeditionary Force 21 Aug 1918, proceeded overseas 20 Sep 1918, disembarked Archangel 1 Oct 1918, embarked for United Kingdom 11 Jun 1919, to Canada 13 Aug 1919, discharged 16 Jul 1919. Saferali, Ashakali; Taken on strength in 15th Field Artillery Regiment RCA on 7 Jul 1980, released 18 Jul 1980. Sagar, Michael Stephan; Taken on strength as a Gunner in 15th Field Artillery Regiment RCA on 6 Jun 1985, qualified General Military Training on 9 Aug 1985, released on 11 Sep 1986. Sagmoen, Martin Allen; Taken on strength as a Gunner in 15th Field Artillery Regiment RCA on 28 Mar 1996, released on 23 Oct 1996. Saguri, Michael John; Taken on strength as a Gunner in 15th Field Artillery Regiment RCA on 3 Nov 1984, qualified General Military Training on 9 Aug 1985, released on 12 Apr 1986. Saguri, Robert Arnold-Arvo; Taken on strength as a Gunner in 15th Field Artillery Regiment RCA on 30 Jun 1983, qualified General Military Training on 19 Aug 1983, awarded Most Efficient Recruit of the Year trophy 19831/1984, qualified TQ1 Artilleryman on 20 Sep 1983, awarded Gunner Douglas Corsor Jr. memorial trophy in 1982, promoted Bombardier on 30 Jun 1984, qualified TQ2 Artillery Communications on 20 Jul 1984, qualified TQ2 Basic Artillery Technician on 10 Aug 1984, qualified Driver Non-Trade on 12 Jul 1985, released. Sahm, Henry Karl; Taken on strength as a Musician in 15th Field Artillery Regiment RCA on 11 May 1977, qualified Musician Basic on 22 Jul 1977, released 1 Sep 1978. Sahota, Karam Singh; Member of 102nd Coast Regiment RCA in 1954. Salmon, Ginger Edward; Taken on strength 15th Field Regiment RCA as Officer Cadet on transfer from Western Command Contingent COTC 62 Anti-Tank (Self Propelled) Regiment RCA (Reserve Force) on 31 Aug 1953, promoted Second Lieutenant on 31 Aug 1953, struck off strength on release on 11 Oct 1956. Salmon, William Allan; Taken on strength as a Gunner in 15th Field Artillery Regiment RCA on 4 Jul 1977, released 30 Jan 1978. Salmond, J; Sergeant listed on the Warrant Officers and Sergeant’s Mess gong. Sami, Robert Ramesh; Taken on strength as a Gunner in 15th Field Artillery Regiment RCA on 30 Jun 1983, released on 30 Jun 1983. Samson, George; Attested Canadian Overseas Expeditionary Force 12 Jul 1916, regimental #349173 as a Gunner with "C" Battery Royal Canadian Horse Artillery, embarked Halifax 25 Nov 1916, disembarked Liverpool 30 Nov 1916, taken on strength Reserve Brigade 30 Nov 1916, taken on strength 1st Brigade Canadian Reserve Artillery 22 Jun 1917, drafted to 4th Canadian Division Ammunition Column, sick to hospital and posted to Canadian Artillery Regimental Depot 21 Nov 1917, forfeits 5 days pay and awarded 8 days Field Punishment #2 for whilst on Active Service and a patient in hospital was AWL from Tattoo 1 Apr 1918, attached 2CCD 14 May 1918, ceases attachment 15 Jun 1918, taken on strength Composite Brigade 18 Jun 1918, taken on strength 68th Battery 16th Brigade Canadian Field Artillery North Russia Expeditionary Force 7 Sep 1918, proceeded overseas 20 Sep 1918, arrived Archangel 1 Oct 1918, signaler, sprained ankle 24 May 1919, discharged to unit 6 Jun 1919, embarked for the United Kingdom 11 Jun 1919, proceeding to Canada 5 Jul 1919, discharged 15 Jul 1919. Sandhu, Hartej Singh; Taken on strength as a Gunner in 15th Field Artillery Regiment RCA on 10 Jan 1995, released on 12 Oct 1995. Sandvar, Ray Peter; Taken on strength as a Gunner in 15th Field Artillery Regiment RCA on 2 Feb 1984, released on 29 Jan 1985. Sanford; Taken on strength as a Musician in 15th Field Artillery Regiment RCA, qualified Private. Sansome, Lindsay, Ellen; Taken on strength as a Gunner in 15th Field Artillery Regiment RCA on 10 May 1994, qualified QL2 General Military Training on 6 Jul 1994, released on 9 Jan 1996. Sansum, VH; Gunner in 43rd Heavy Anti-Aircraft Regiment RCA in 1947. 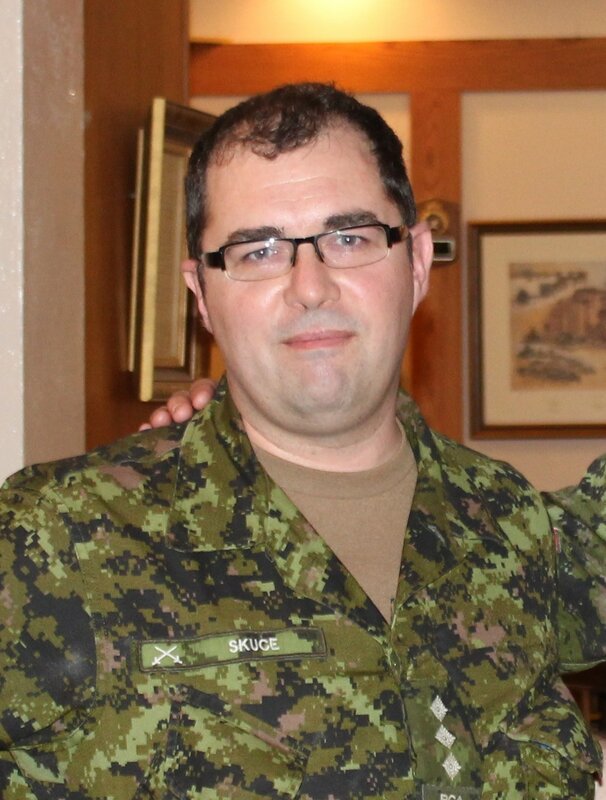 Sanyshyn, James Evan; Taken on strength as a Musician in 15th Field Artillery Regiment RCA on 21 Mar 1989, qualified General Military Training on 9 Jun 1989, qualified TQ1 Musician on 28 Aug 1989, promoted Bombardier on 21 Mar 1990, released on 30 Apr 1994. Sargison, Albert Edward; Captain 5th Regiment Canadian Garrison Artillery, transferred to 15th Brigade Canadian Field Artillery in 1916, Officer Commanding Ammunition Column, embarked Halifax 11 Sep 1916, disembarked Liverpool 22 Sep 1916, admitted to hospital 25 Sep 1916, transferred to 4th Divisin Ammunition Column 1 Nov 1916, reported for duty 7 Nov 1916, transferred to Reserve Brigade Canadian Field Artillery 2 Feb 1917, transferred to Canadian Artillery Regimental Depot 21 May 1917, seconded to Royal Flying Corps to be Flying Officer 9 Jun 1917, ceased secondment 10 Sep 1917, taken on strength 2nd Canadian Command Depot 27 Sep 1917, sick leave to Canada 8 Oct 1917, moved to San Francisco California 20 Mar 1918, deceased 23 Oct 1956, interred Woodlawn Cemetery San Francisco CA. Saumier, David James; Taken on strength as a Gunner in 15th Field Artillery Regiment RCA on 26 May 1992, released on 30 Apr 1994. Saunders, Leonard William Allen; Taken on strength as a Gunner in 15th Field Artillery Regiment RCA on 6 May 1993, qualified General Military Training on 30 Jun 1993, released on 13 Oct 1994. Savage, Edward; Attested Canadian Overseas Expeditionary Force 17 Sep 1915, embarked S.S. Metagama 5 Feb 1916, awarded Military Medal 13 Jul 1917 for action at Vimy Ridge 19 Apr 1917. Sawatski, Stephen Lee; Taken on strength as a Gunner in 15th Field Artillery Regiment RCA on 14 Jan 1978, qualified General Military Training on 3 Jul 1978, qualified Artilleryman on 27 Aug 1979, promoted Bombardier on 1 Jul 1979, qualified Artillery Communicator Trade Qualification 2 on 3 Aug 1979, qualified Artillery Driver Wheeled Trade Qualification 2 on 1 Sep 1979, qualified Cook Trade Qualification 1 on 2 Sep 1980, qualified Cook Trade Qualification 2 on 30 Sep 1980, transferred to Regular Force on 21 Jan 1981. Sawley, Dudley; Taken on strength 15 Field Regiment RCA on 15 Sep 1949, struck off strength on 21 Sep 1950. Sayle, Christopher George; Taken on strength as a Musician in 15th Field Artillery Regiment RCA on 8 Jun 1989, qualified QL2 General Military Training on 25 Aug 1989, released on 21 Mar 1990. Sbragia, MR; Private in 31 Battery in 1969. Scallion, Edward Andrew; Taken on strength as a Musician in 15th Field Artillery Regiment RCA on 10 Apr 1991, qualified General Military Training on 7 Jun 1991, qualified QL1 Percussion on 30 Aug 1982, released on 12 Jan 1995. Schafferhans, Gustav Frank; Taken on strength 15th Field Regiment RCA on 25 Nov 1958. 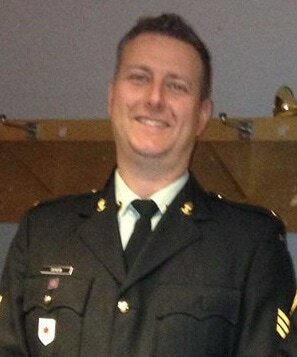 Scheib, Robert P; Taken on strength as a Musician in the 15th Field Artillery Regiment RCA, Private from 1986 to 1988, Bombardier from 1989 to 1990, Sergeant from 2014 to 2017. Schell, LC; Private in 85 Battery in 1969. 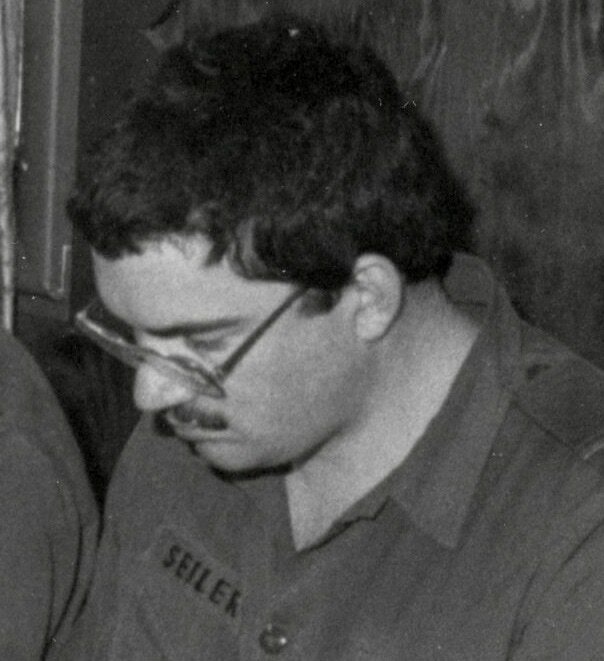 Scherer, Roberto Salvador; Taken on strength as a Gunner in 15th Field Artillery Regiment RCA on 5 Jan 1978, released 24 Sep 1978. Schick, GA; Warrant Officer Class II in 1958, 43rd Medium Anti-Aircraft Regiment RCA in 1958. 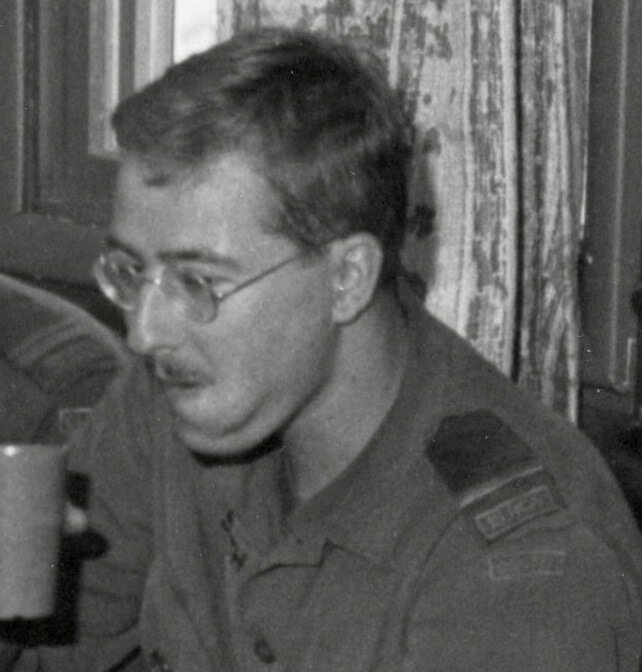 Schier, Frederick William; Taken on strength 15th Field Regiment RCA on 4 Dec 1958. Schildt, Ian Gerhard; Taken on strength as a Musician in 15th Field Artillery Regiment RCA on 1 Jun 1979, qualified Musician Trade Qualification 1 on 2 Sep 1979, promoted Bombardier on 1 Sep 1980, transferred to Royal Westminster Band. Schmidt, Beverly K; Taken on strength as an Administrative Clerk in 15th Field Artillery Regiment RCA with previous service on 10 Apr 1986, released on 30 Oct 1986. Schmidt, William Lawrence; Taken on strength as a Gunner in 15th Field Artillery Regiment RCA on 28 Sep 1985, qualified General Military Training on 1 Feb 1986, qualified Non-Trade Driver on 6 Dec 1986, qualified BTT Cook Course on 4 Apr 1987, qualified STT Cook Course on 11 May 1987, change occupation to Cook on 1 Oct 1988, promoted Corporal on 1 May 1989, transferred to Royal Westminster Regiment on 1 Feb 1997. 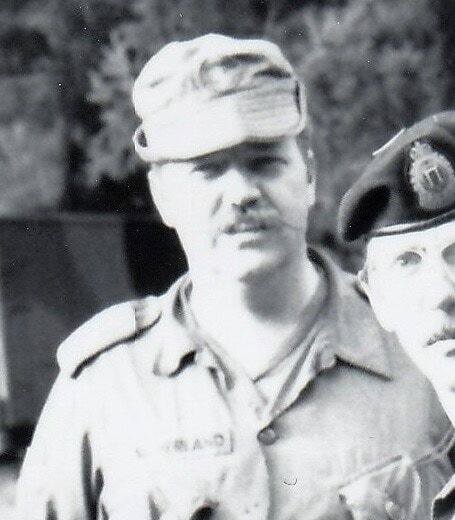 Schneider, Andrew Gerd; Taken on strength as a Gunner in 15th Field Artillery Regiment RCA on 14 Apr 1984, transferred to 12 Service Battalion in 1984. 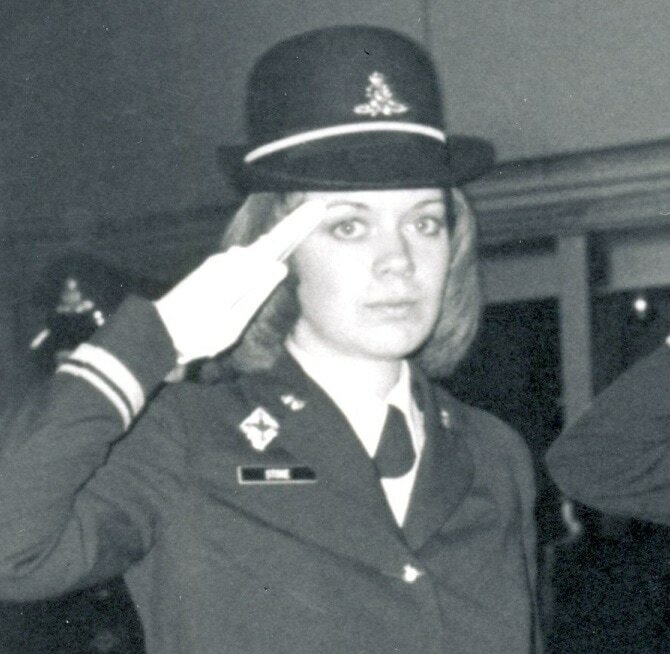 Scholl, Iska Phyllis; Taken on strength in 12 Service Battalion, transferred to 15th Field Artillery Regiment RCA on 15 Oct 1993, qualified Basic Classification Training I on 15 Jul 1994, Lieutenant in 1994, qualified Basic Classification Training II on 29 Jul 1994, qualified Basic Classification Training III on 12 Aug 1994,transferred to Suplementary Holding Reserve on 1 Apr 1996, transferred to 15th Field Artillery Regiment RCA on 24 Oct 1997, Captain in 1999, transferred to Headquarters 39 Canadian Brigade Group on 1 Feb 2001. Schroderus, Matti; Taken on strength as a Gunner in 15th Field Artillery Regiment RCA on 11 Jun 1988, qualified General Military Training on 27 Aug 1988, released on 16 Oct 1989. Schultz, Barry Gerald; Taken on strength as a Musician in 15th Field Artillery Regiment RCA on 28 Nov 1974, qualified General Military Training on 25 Oct 1975, released 1 Jun 1978. 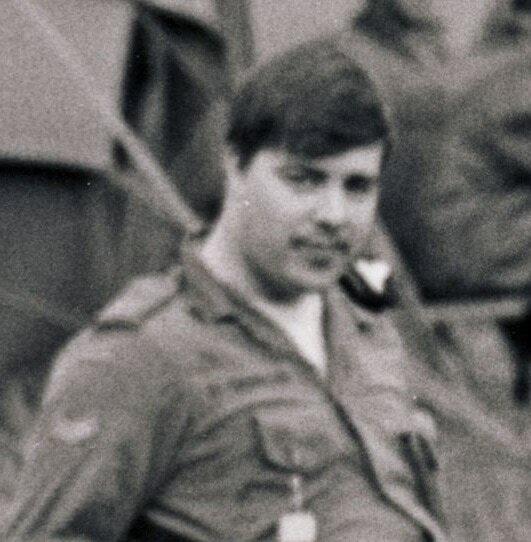 Schultz, DFW; Private in the Regimental Band in 1969. 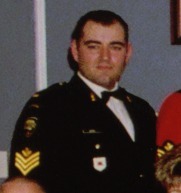 Schulz, Christopher Bernhard; Taken on strength as a Gunner in 15th Field Artillery Regiment RCA on 24 Nov 1992, qualified General Military Training on 27 May 1993, qualified QL3 Artillery on 28 Jul 1993, qualified QL4 Artillery Communications on 23 Jan 1994, promoted Bombardier on 7 Dec 1994, qualified FMC Driver Wheeled on 25 Apr 1998, qualified LG1 Conversion on 4 Feb 2000, qualified HLVW Driver Wheeled on 25 Feb 2000, qualified QL4 Towed on 3 Mar 2002, qualified CF Junior Leaders Course on 2 Jul 2002, operational deployment with SFOR in 2000, Bombardier in 2001. 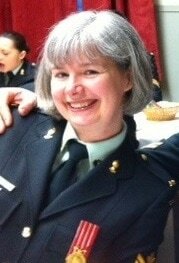 Schwarzbach, Gennie L; Taken on strength as a Musician in 15th Field Artillery Regiment RCA, Bombardier in 2017. Schwerdel, Marcel Laurent; Taken on strength as a Gunner in 15th Field Artillery Regiment RCA with previous service on 10 Nov 1982, qualified General Military Training, qualified TQ1 Artilleryman, released on 30 Jun 1983. Scott; Bombardier in "C" Sub Section 68 Battery Canadian Field Artillery North Russia Expeditionary Force in April 1919. Scott, Bertram Boning; Taken on strength 31 Battery 15th (Vancouver) Coast Brigade RCA NPAM 6 Aug 1940, assigned regimental number V9489, assigned new regimental number K415591. 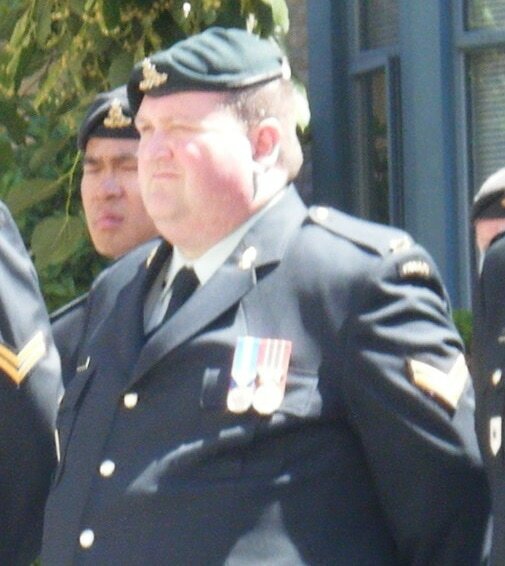 Scott, Daniel Christopher; Taken on strength as a Gunner in 15th Field Artillery Regiment RCA 19 Jun 2003, awarded Most Efficient Recruit of the Year trophy 2003, promoted Bombardier 2006, operational tour in Afghanistan 2008 and 2009/10, surprise donor to the Khandahar organ donor clinic, promoted Master Bombardier 2014, promoted Sergeant 2016, awarded ​Most Proficient Detachment Commander of the Year and the 15th Field Regiment RCA Rifle Range Challenge Cup 2017. Scott, David Wallace; Taken on strength as an Officer Cadet in 15th Field Artillery Regiment RCA on 1 Aug 1991, qualified QL3 Artilleryman on 22 Mar 1992, qualified Basic Officers Training I on 5 Jun 1992, qualified Basic Officers Training II on 19 Jun 1992, qualified Basic Army Officers Training on 2 Jul 1993, promoted Second Lieutenant on 2 Jul 1993, qualified Basic Classification Training on 28 Jul 1995, qualified Basic Classification Training III on 11 Aug 1995, promoted Lieutenant on 11 Aug 1995, qualified Basic Classification I on 14 Jul 1995, qualified Militia Officers Staff Course on 30 May 1997, released 31 Jan 2000. Scott, Larry James; Taken on strength as a Sergeant in 15th Field Artillery Regiment RCA with previous service on 10 May 1993, qualified TQ1, 2, 3 Musician, qualified Senior NCO,qualified TQ4 Trumpet on 24 Jun 1983, promoted Warrant Officer on 1 Dec 1983, released on 1 Apr 1993. Scriabin, Andrew James; Taken on strength as a Gunner in 15th Field Artillery Regiment RCA on 3 Jul 1978, qualified General Military Training on 27 Aug 1978, qualified Artilleryman Trade Qualification 1 on 14 Mar 1979, transferred to Regular Force on 15 Mar 1979. Scribner, R; Taken on strength transfer from 43 Heavy Anti-Aircraft Regiment RCA 15th Fd Regiment RCA on 27 Nov 1951, struck off strength on 20 Apr 1954. Sdrogefski, Daniel; Taken on strength 15th Field Regiment RCA on enrolment with former service Canadian Army (A) on 16 May 1955, struck off strength on release on 13 Sep 1956. Seabrock, Herbert Burton; Taken on strength as a Gunner with 85th Battery 15th (Vancouver) Coast Regiment RCA NPAM on 9 Aug 1940, assigned regimental number V10472, assigned new regimental number K417558. 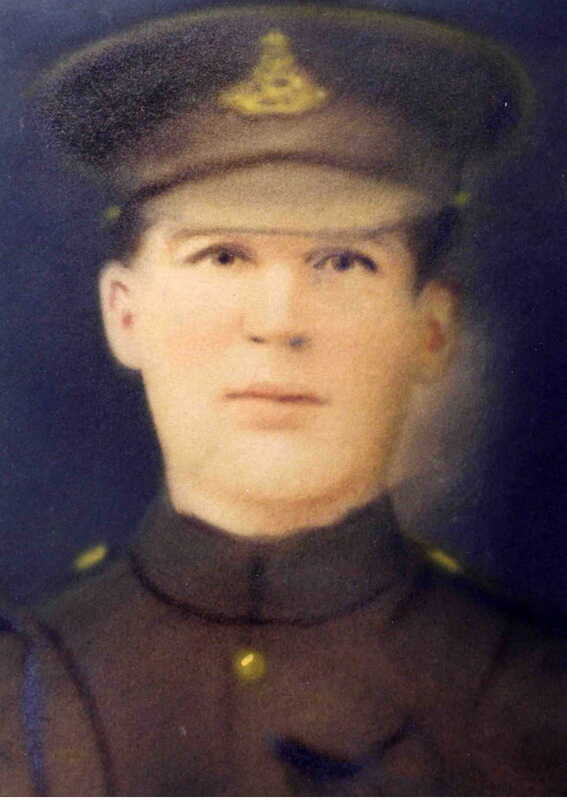 Seaman, Robert Lloyd; Attested 26th Battery 7th Brigade Canadian Field Artillery Canadian Expeditionary Force 25 Mar 1915, regimental 89733, disembarked England 18 Aug 1915, disembarked France 18 Jan 1916, attached to 13th Battery 4th Brigade 22 Jun 1916, rejoined unit 2 Jul 1916, appointed Bombardier 18 Aug 1917, admitted to hospital for gas 30 Oct 1917, struck off strength to 68 Battery 16th Composite Brigade 21 Aug 1918, proceeded overseas with North Russia Expeditionary Force, disembarked Archangel 1 Oct 1918, awarded Distinguished Conduct Medal for bravery 31 Jan 1919, reverted to rank of Gunner at own request 14 Apr 1919, disembarked UK 18 Jun 1919, embarked for Canada 18 Jul 1919 and discharged 31 Jul 1919 as a signaller, married Marion Jean Parkinson 9 Nov 1922, deceased 20 Aug 1970, buried Riverside Cemetery Thunder Bay ON. Seath, Leslie; Taken on strength 15th Coast Regiment RCA on 10 Oct 1946, appointed Acting Sergeant on 1 Nov 1947, substantive Sergeant on 16 Sep 1948, promoted Acting Staff Sergeant on 1 Sep 1953, reverts to the rank of Sergeant on 13 may 1954, struck off strength on 13 May 1954. Sedgwick, Randy L; 15th Field Artillery Regiment RCA Regular Force Cadre Warrant Officer from 1992 to 1994, Warrant Officer in 2000. Seeley, Harry Walter; Attested Canadian Overseas Expeditionary Force 15 Apr 1916, regimental #335846 as a Gunner with 65th Overseas Depot Battery Canadian Field Artillery, embarked Halifax 23 Jul 1916, disembarked Liverpool 31 Jul 1916, taken on strength Reserve Brigade 31 Jul 1916, taken on strength 11th Brigade Canadian Field Artillery 13 Nov 1916, taken on strength 9th Brigade Canadian Field Artillery 13 Nov 1916, gun shot wound face and posted to Canadian Artillery Regimental Depot 30 Aug 1917, taken on strength 1st Brigade Canadian Reserve Artillery 24 Oct 1917, taken on strength Reserve Brigade 18 Nov 1917, taken on strength 68th Battery 16th Brigade Canadian Field Artillery North Russia Expeditionary Force 7 Sep 1918, proceeded overseas 20 Sep 1918, arrived Archangel 1 Oct 1918, embarked for the United Kingdom 11 Jun 1919, proceeded to Canada 5 Jul 1919, discharged 15 Jul 1919. Seidemann, Jens; Taken on strength as a Gunner in 15th Field Artillery Regiment RCA on 20 Oct 1983, qualified General Military Training on 26 May 1984, released on 17 Jan 1985. 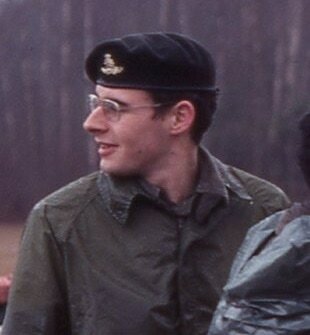 Seiler, Ronald Gregory; Taken on strength as an Officer Cadet in 15th Field Artillery Regiment RCA on 8 Jan 1981, qualified Block 2 Basic Officer Training Course on 22 Jul 1983, qualified MITCP Block 3 on 5 Aug 1983, promoted Second Lieutenant on 1 Nov 1983, qualified Driver Non-Trade on 1 Jan 1984, qualified MITCP Block 4 on 19 Jul 1985, qualified Lieutenant Artillery Block 5 on 25 Jul 1986, qualified Lieutenant Block 6 on 8 Aug 1986, promoted Lieutenant on 8 Sep 1986, transferred to Supplementary Ready Reserve on 19 May 1992. 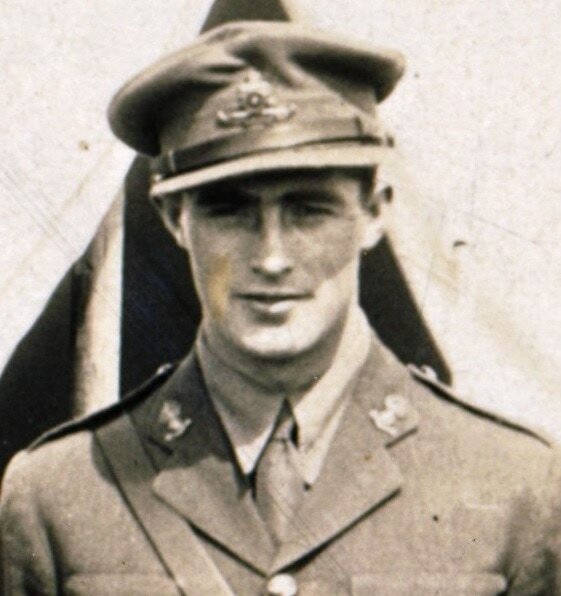 Selbie, Horace William; Second Lieutenant in the 85th Battery 15th (Vancouver) Coast Brigade RCA in 1939, Lieutenant in 1942, Major in 1944, Battery Commander 58th Battery in 1944. 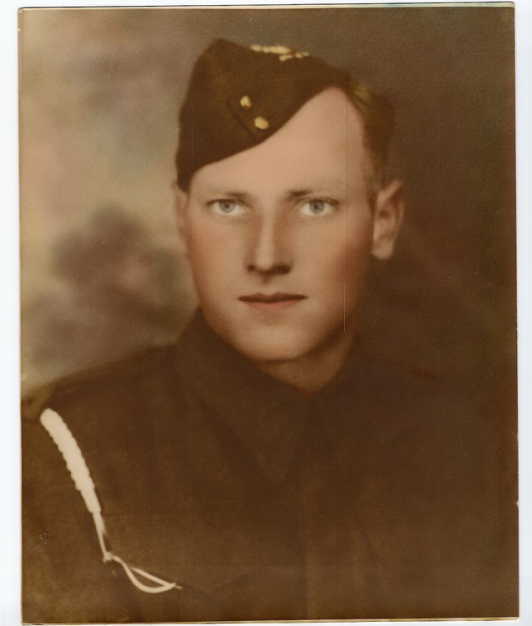 Selfridge, Harold Bordon; Taken on strength as a Gunner with 58th Battery 15th (Vancouver) Coast Regiment RCA NPAM on 7 Aug 1940, assigned regimental number V9998, to be Acting Sergeant 1 Sep 1940, assigned new regimental number K416507. Selsky, CW; Private in 85 Battery in 1969. 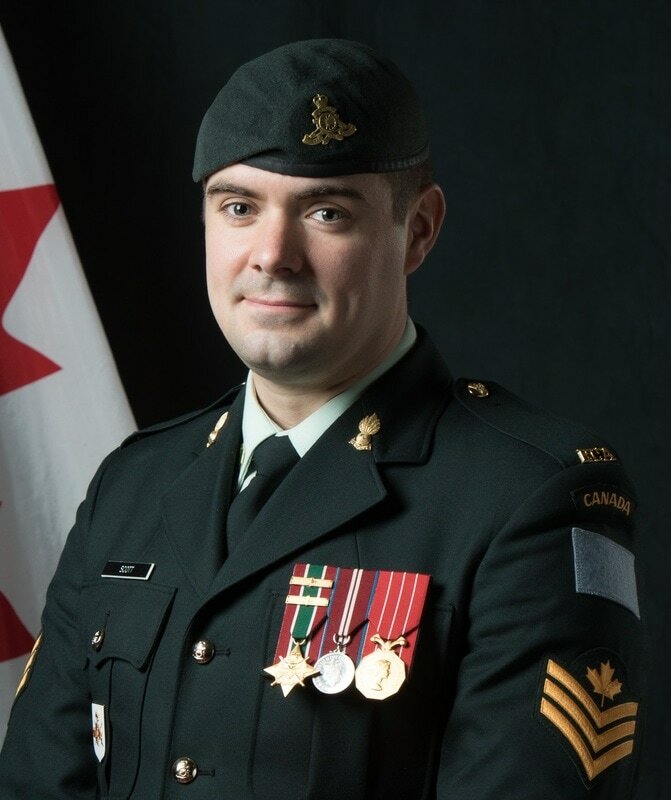 Senff, Nathaniel; Taken on strength as a Musician 15th Field Artillery Regiment RCA, Sergeant in 2012, promoted Warrant Officer Sep 2018. Sentall, Ronald George; Taken on strength 15th Field Regiment RCA on enrolment on 19 Sep 1955. Sentell, SG; Gunner in 1957, struck off strength on release on 1 Dec 1957. Setterfield, AC; Captain in 15th (Coast) Brigade RCA CA in 1942. Sewell, Chris W; Taken on strength as a Gunner in 15th Field Artillery Regiment RCA, Bombardier in 2014, Master Bombardier in 2017, deceased 24 Aug 2018. Seymour, Ian R; Lieutenant in 1958, 43rd Medium Anti-Aircraft Regiment RCA in 1958, Lieutenant from 1961 to 1962, 85 Battery 15th Field Artillery Regiment RCA CA(M)1961, Captain in 158 Battery from 1965 to 1969. Seymour, RD; Sergeant listed on the Warrant Officers and Sergeant’s Mess gong. Shaneman, John Allen; Taken on strength from 62nd Field Battery RCA as a T/Major on 1 Apr 1946, transferred to Supplementary List on 10 Apr 1947. Shankey, Conor George; Taken on strength as a Gunner in 15th Field Artillery Regiment RCA on 4 Mar 1982, released 29 Apr 1982. 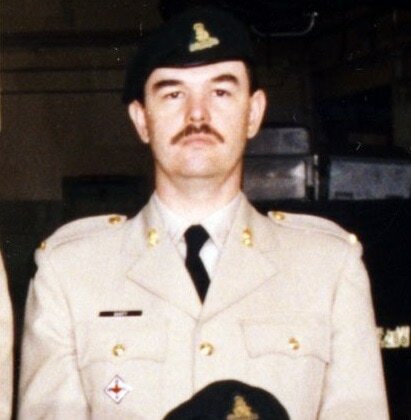 Sharp, Travis William; Taken on strength as a Gunner in 15th Field Artillery Regiment RCA on 6 Jun 1997, qualified QL2 General Military Training on 3 Aug 1997, qualified QL3 Artillery on 22 Aug 1997, released on 15 Oct 1998. Sharpe, Raymond Franklin; Taken on strength as a Gunner in 68th Overseas Depot Field Battery on 7 Apr 1916, embarked Canada on 28 Apr 1916, arrived Liverpool 7 May 1916, attached 2nd Battery Reserve Brigade Canadian Field Artillery, drafted to France to 1st Heavy Battery 25 Aug 1916, joined unit 5 Sep 1916, proceeded to Canadian Corps Rest Camp 24 Jun 1917, returned from Canadian Corps Rest Camp 5 Jul 1917, proceeded to 1st Army Rest Camp 24 Jun 1917, rejoined unit 1 Aug 1917, promoted Bombardier 14 Sep 1917, proceeded on leave to England 14 Nov 1917, awarded Distinguished Conduct Medal for gallantry and devotion in the field 23 Nov 1917, rejoined unit 2 Dec 1917, to Artillery School 8 Dec 1917, returned from 1st Army Artillery School 6 Jan 1918, admitted hospital sick 27 Feb 1918, rejoined unit 10 Mar 1918, appointed Acting Sergeant with pay 25 Sep 1918, proceeded to England to attend Cadet course for the purpose of obtaining a commission in the Canadian Garrison Artillery 15 Oct 1918, arrived Halifax on board SS Canada 23 Feb 1919, admitted Shaughnessy Military Hospital for deafness on 20 Mar 1919, discharged 15 Apr 1919, deceased 14 Aug 1956. Sharpord; Sergeant in 15th Field Brigade RCA in 1937. Shaw, Albert; Taken on strength as a Gunner with 58th Battery 15th (Vancouver) Coast Regiment RCA NPAM on 7 Aug 1940, assigned regimental number V9999, assigned new regimental number K416604. Shaw, David Lawrence; Taken on strength as a Musician in 15th Field Artillery Regiment RCA on 5 Mar 1983, qualified General Military Training on 19 Aug 1983, qualified TQ1 Musician on 29 Jun 1983, qualified TQ2 Musician on 15 Aug 1983, promoted Bombardier on 5 Mar 1984, qualified TQ3 Musician on 25 May 1984, qualified TQ1 Musician (Percussion) on 17 Aug 1984, promoted Master Bombardier on 1 Apr 1986, qualified TQ3 Musician on 28 Aug 1989, transferred to Regular Force on 24 May 1990. 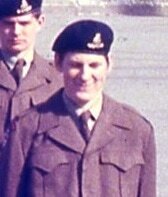 Shaw, DB; Private in 31 Battery in 1969. Shaw, Kendall Patrick; Taken on strength as a Gunner in 15th Field Artillery Regiment RCA in Jan 1999, qualified QL2 General Military Training, qualified QL3 Artillery, operational deployment with SFOR in 2000. Shaw, Peter Boyd; Taken on strength 68th Depot Battery Canadian Field Artillery 21 Nov 1917, taken on strength 3rd Brigade Canadian Garrison Artillery, arrived France Jul 1918, received gun shot wounds left foot and right thigh near Cambrai, deceased 13 Oct 1918, buried at Bucquoy Road Cemetery Ficheux France. Shaw, RM; Private in 31 Battery in 1969. ​Shearer, Paddy; Bombardier in 58th Battery 15th (Vancouver) Coast Brigade RCA in 1941. Shearman, Arthur E; 68th Battery Canadian Field Artillery Gunner May 1918, 2nd Canadian Tank Battalion Private Sept 1918, England Oct 1918, Canada and discharged Dec 1918. Sheldon, Gordon George; Previous service with 82nd Field Artillery US Army from 1923 to 1926, taken on strength with 31st Battery 15th (Vancouver) Coast Brigade RCA on 9 July 1940 , transferred to 16th Light Anti Aircraft Battery on 4 September 1940, embarked to United Kingdom on 5 April 1941, with 3rd Light Anti-Aircraft Regiment RCA on 25 April 1941, embarked for Dieppe, France (Jubilee Operation) on 18 August 1942, appointed Acting Lance Bombardier on 28 August 1942, appointed Lance Bombardier on 20 January 1943, appointed Acting Bombardier on 9 August 1943, confirmed Bombardier on 4 November 1943, embarked for France on 4 July 1944, killed in action on 8 August 1944, buried in Bretteville-sur-Laize Canadian Military Cemetery. Shelton, Alan William; Taken on strength as a Gunner in 15th Field Artillery Regiment RCA on 13 Mar 1980, released 1 Apr 1982. Shenton, Jack; Taken on strength 15th Field Regiment RCA on enrolment with former service in Royal Canadian Navy on 2 May 1955, struck off strength on transfer to No 8 Provost Company C Pro C.
Sheppard, Anthony James; Taken on strength as a Musician in 15th Field Artillery Regiment RCA on 2 Feb 1994, qualified QL2 General Military Training, qualified QL3 Musician, qualified QL4 Musician, released on 21 Jan 1996. 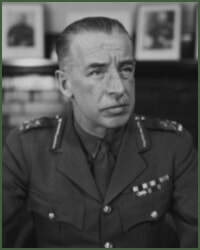 Sheridan, PM; Struck off strength from 15th Field Regiment RCA on release on 2 May 1955. Sheridan, RW; Sergeant in 15th (Coast) Brigade RCA CA in 1942. Sheridan, Thomas Patrick; Taken on strength 15th Field Regiment RCA on enrolment on 10 May 1956, taken on strength on 1 Sep 1956, struck off strength on release on 1 Jan 1957, taken on strength on 9 May 1957, appointed Lance Bombardier on 1 Oct 1958. Sheridan, William Joseph; Taken on strength 15th Field Regiment RCA on enrolment on 10 May 1956, taken on strength on enrolment on 1 Sep 1956, struck off strength on release on 1 Jan 1957, taken on strength on 9 May 1957, appointed Lance Bombardier on 1 Oct 1958. Sherlock, Earle Victor; Provisional Lieutenant in 13th Battery in Nov 1917, qualified Lieutenant on 18 Dec 1915 at the Royal Artillery School Horse & Field in Kingston ON, Lieutenant in 3rd Divisional Artillery Column on 11 Mar 1916, departed for England on SS Metagama on 11 Mar 1916, Lieutenant in 31st Battery in 1917, Captain in 17th Battery on 4 Feb 1922, qualified Field Officer on 4 Feb 1922 at the Royal School of Artillery (Mobile) in Winnipeg MB, Captain in 5 Field Brigade Canadian Artillery in Dec 1927. Sherman, John; Promoted Sergeant in 15th Coast Regiment RCA on 1 Apr 1946, appointed Acting Battery Quartermaster on 21 Nov 1946, Staff Sergeant in 1948, confirmed in the rank of BQMS on 10 Feb 1949, promoted substantive Warrant Officer Class II on 8 Sep 1955, appointed Regimental Quarter Master Sergeant. Sherman, John William; Taken on strength on transfer from 39 Fd Regt (SP) RCA in the rank of Second Lieutenant in 15 Field Regiment RCA on 16 Feb 1949, to be Lieutenant on 16 Feb 1949 struck off strength on transfer to Stormont, Dundas and Glengarry Highlanders on 7 Mar 1950. Sherwood, Barry Wayne; Taken on strength 15th Field Regiment RCA on 28 Mar 1957. 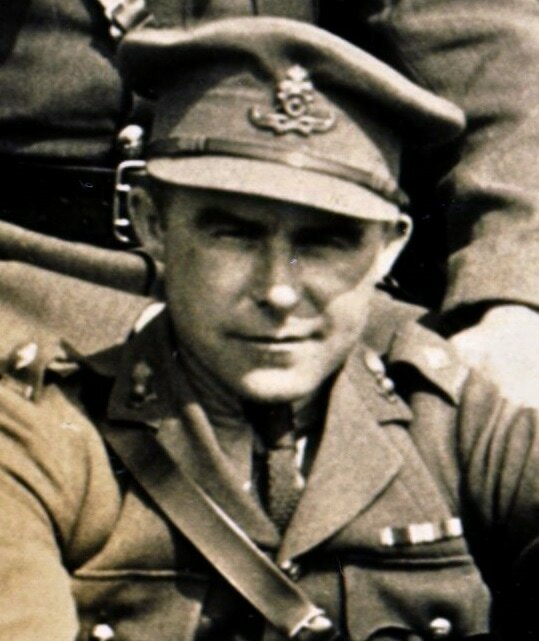 Sherwood, H; Lieutenant in the Corps Reserve for 15th Brigade Canadian Field Artillery from 1922 to 1925, Captain from 1925 to 1927, 85th Battery from 1925 to 1927. Shetler, John Lawrence; Taken on strength as a Musician in 15th Field Artillery Regiment RCA on 12 Mar 1996, released on 5 Jul 1996. Shew, Kelsey Waihin; Taken on strength as a Gunner in 15th Field Artillery Regiment RCA on 2 Nov 1989, released on 15 Apr 1993. Shiell, Donald Lyall; Taken on strength as a Gunner with 58th Battery 15th (Vancouver) Coast Regiment RCA NPAM on 7 Aug 1940, assigned regimental number V1000, assigned new regimental number K416605. Shier, Donna Lynn; Taken on strength as an Administrative Clerk in BC District Headquarters, transferred to 15th Field Artillery Regiment RCA on 1 Sep 1982, qualified QL2 General Military Training on 20 Aug 1982, qualified TQ1 Administrative Clerk on 12 Dec 1982, qualified TQ1 Finance Clerk on 12 Dec 1982, qualified TQ1 Cook on 18 Mar 1983, promoted Corporal on 12 Jul 1983, qualified TQ2 Cook on 20 Feb 1984, changed occupation to Cook on 20 Feb 1984, qualified Junior Leaders Course on 30 Jul 1987, transferred to 7th Toronto Regiment RCA on 1 Jan 1988, released 10 Oct 1989. Shindler, Percy Elwood; Taken on strength 68th Overseas Depot Battery Canadian Field Artillery as a Driver 15 Jun 1916, embarked Canada 15 Aug 1916, arrived in England 24 Aug 1916, taken on strength Canadian Artillery Regimental Depot 24 Aug 1916, admitted #5 Canadian Field Hospital 25 Feb 1917, rejoined unit 4 Mar 1917, invalided sick and posted to Canadian Artillery Regimental Depot 13 Jun 1917, taken on strength 1st Brigade Canadian Reserve Artillery 16 Jul 1917, proceeded overseas 24 Sep 1917, attached to 2nd Canadian Division Ammunition Column 24 Sep 1917, taken on strength 6th Brigade Canadian Field Artillery 15 Dec 1917, proceeded on leave 17 Oct 1918, returned from leave 4 Nov 1918, hospitalized contusion 18 Nov 1918, posted Canadian Artillery Regimental Depot 20 Feb 1919, struck off strength to Canada 18 May 1919, discharge 31 May 1919, married Clara Jane McDonald 28 Oct 1925, deceased 25 April 1954, interred Mountain View Cemetery Vancouver BC. Shippobotham, William Ewart; Taken on strength 31 Battery 15th (Vancouver) Coast Brigade RCA NPAM 20 Aug 1940, assigned regimental number V9490, assigned new regimental number K415592. Shoebotham, GM; Taken on strength 15th (Vancouver) Coast Brigade RCA, assigned regimental number V9209, attended Nanaimo Camp 1 Sep 1940, assigned new regimental number K415019, struck off strength on transfer to No. 11 District Sub-Depot Active Force 9 Dec 1940. Shore, John Wallace Baird; 68th Battery Canadian Field Artillery Gunner April 1918, 85th Battery CEF (Siberia), Petawawa, Sept 1918, Discharged March 1919. Shorey (Nielsen), Nona Amey; ​Taken on strength in 12th Medical Company on 4 Jul 1977, transferred to 15th Field Artillery Regiment RCA on 11 Oct 1983, qualified TQ3 & TQ4 Casualty Aide on 29 Aug 1986, promoted Sergeant on 1 Sep 1986, transferred to Supplementary Ready Reserve on 1 Jun 1991. Shorey, Brad; Taken on strength as a Gunner in 15th Field Artillery Regiment on 24 Feb 1976, qualified Basic Artilleryman Trade Qualification 1 on 8 Jan 1977, promoted Bombardier on 1 Apr 1977, qualified Artillery Driver Trade Qualification 2 on 25 Aug 1977, qualified Artillery Communicator Trade Qualification 2 on 28 Jun 1978, qualified Basic Artillery Technician Trade Qualification 2 on 3 Aug 1979, qualified Junior Non-Commissioned Officer course on 27 Jul 1980, qualified Detachment Commander Trade Qualification 3 on 27 Aug 1980, promoted Master Bombardier on 27 Jul 1980, qualified Senior Non-Commissioned Officer course on 22 Mar 1983, promoted Sergeant 24 Mar 1983, transferred to Supplementary List in Jun 1991. Shores, Merrill Edmund William; attested Canadian Overseas Expeditionary Force 14 Nov 1917, regimental #1251334, 78th Depot Battery as a Gunner, embarked Halifax 10 Feb 1918, disembarked Glasgow 24 Feb 1918, taken on strength Reserve Brigade Canadian Field Artillery 26 Feb 1918, taken on strength 68th Battery 16th Brigade North Russia Expeditionary Force 19 Sep 1918, disembarked Archangel 1 Oct 1918, disembarked United Kingdom 18 Jun 1919, to Canada 5 Jul 1919, discharged 15 Jul 1919, married Marjorie Jane Koller 3 Mar 1921, deceased 30 Mar 1944 Spokane WA. 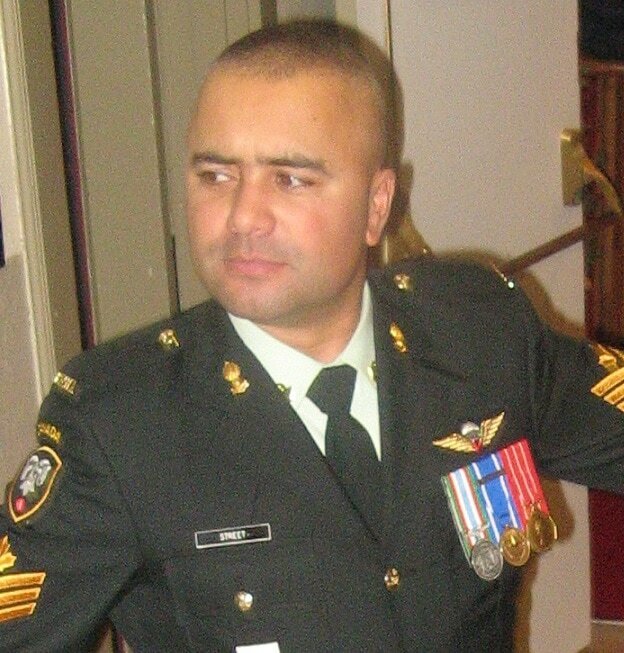 Shortt, Joe P; Regular Force Support Staff Warrant Officer from 2005 to 2008. Siemens, Arlensa (Lee) Lerene; Enrolled as an Administrative Clerk in Vancouver Militia Service Battalion on 15 Feb 1972 with previous service, qualified Junior Non-Commissioned Officer course on 21 Jul 1972, promoted Corporal on 1 Nov 1972, qualified Medical Aide on 12 Jun 1973, qualified Senior Non-Commissioned Officer on 10 Oct 1974, promoted Sergeant on 1 Oct 1974, taken on strength 15th Field Artillery Regiment RCA on 11 Dec 1974, released 10 Feb 1977. Sigurdson, GR; Gunner in 43rd Heavy Anti-Aircraft Regiment RCA in 1947. Silva-White, Raymond St. Martin; Taken on strength 58th Battery 15th (Vancouver) Coast Brigade RCA 28 Aug 1940, assigned regimental number V10022, assigned new regimental number K416603, struck off strength not likely to become an efficient soldier 31 Oct 1940. Silverthorn, William Gordon; Attested Canadian Overseas Expeditionary Force19 Apr 1917 72nd Queens Battery, regimental #343045, embarked Halifax 3 Feb 1918, disembarked Liverpool 16 Feb 1918, taken on strength Reserve Brigade Canadian Field Artillery 17 Feb 1918, taken on strength 68th Battery 16th Brigade Canadian Field Artillery North Russia Expeditionary Force 21 Aug 1918, embarked for overseas 20 Sep 1918, arrived Archangel 1 Oct 1918, embarked for United Kingdom 11 Jun 1919, embarked for Canada 13 Aug 1919, discharged 26 Aug 1919, deceased 2 Oct 1945, interred New Road Cemetery Otterville ON. 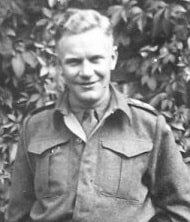 Silvester, Norman Alfred; Taken on strength with 158 Battery 15th Field Regiment RCA on 8 Apr 1948, transferred to The British Columbia Regiment (DCO) on 11 Feb 1949. Simmons, HE; Second Lieutenant in 58th Heavy Battery in 1939. Simmons, John; Formerly served with 4th Dragoon Guards for 12 years, attested into Canadian Overseas Expeditionary Force on 12 Aug 1915, Sergeant in 31st Battery 8th Brigade CFA in 1916, awarded Military Medal in Dec 2016. Simon, Christian Anne; Taken on strength as a Gunner in 15th Field Artillery Regiment RCA on 11 Apr 1996, qualified QL2 General Military Training on 5 May 1996, released on 18 Sep 1996. Simpson, Donald David; 68th Battery Canadian Field Artillery Gunner March 1917, England June 1917, France Fourth Divisional Ammunition Column Sept 1917, 27th Battery CFA Oct 1917, wounded Arras, Sept 8 1918, invalided to England Sept 1918, Canada and discharged Feb 1919. Sims, HE; Lieutenant in 5th Siege Battery 15th Brigade Canadian Field Artillery from 1923 to 1925. Sims, Mervin John; Taken on strength 15th Field Regiment RCA on 18 Apr 1955, struck off strength on release on 1 Oct 1957. Sinclaire, CG; Private in 85 Battery in 1969. Singh, Sadu Serdara; Taken on strength 15th Field Regiment RCA on 5 Mar 1953, struck off strength on release on 6 Jan 1955. Sings, Malcolm B; Taken on strength as a Musician in 15th Field Artillery Regiment RCA, Bombardier from 2014 to 2017. Sjobald, W; Private in 31 Battery in 1969. Sjoblom, Pierre Michael; Taken on strength in 15th Field Artillery Regiment RCA on 3 Jul 1978, released 3 Jul 1978. Skaife, Eric Royal; Attested Canadian Overseas Expeditionary Force 9 Oct 1915, arrived England 7 Dec 1915, embarked for France 24 Mar 1916, taken on strength 1 Canadian Division Artillery Column 26 Mar 1916, posted to 3rd Artillery Brigade 8 Apr 1916, awarded 3 days Field Punishment No 1 Disobedience of Orders 10 Aug 1916, promoted Bombardier 20 Aug 1917, appointed Acting Corporal 21 Jun 1917, to 1st Army Rest Camp 18 Jul 1917, to be Corporal 28 Jul 1917, appointed Acting Sergeant without pay 28 Jul 1917, returned from Rest Camp 1 Aug 1917, granted leave 4 Oct 1917, returned from leave 18 Oct 1917, shell wound to arm 23 Oct 1917, invalided and posted to Canadian Artillery Regimental Depot 2 Nov 1917, promoted Sergeant 2 Nov 1917, taken on strength 68 Battery 16th Brigade Canadian Field Artillery 28 Aug 1918, proceeded overseas to Northern Russia 20 Sep 1918, arrived Archangel Russia 1 Oct 1918, awarded Military Medal for Bravery in the Field 11 Feb 1919, hospitalized influenza 12 Mar 1919, rejoined unit 16 Mar 1919, embarked for United Kingdom 11 Jun 1919, discharged in United Kingdom 25 Jul 1919, deceased 25 Mar 1964 in Lancashire England. Skinner, Michael James; Taken on strength as a Musician in 15th Field Artillery Regiment RCA on 15 May 1977, qualified Intermediate Musician on 26 Aug 1977, released 5 Apr 1978. Skuce (Colling), Elizabeth J; Taken on strength 1998 as an Officer Cadet, Second Lieutenant in 1998, Lieutenant from 1999 to 2001, Operational tour with SFOR in 2000, transferred to 26th Field Artillery Regiment in 2001, received Joint Task Force West Command Commendation. Skuce, Isaak EA; Taken on strength in 15th Field Artillery Regiment RCA, Second Lieutenant from 1995 to 1996, Lieutenant from 1998 to 2000, transferred to 26th Field Artillery Regiment RCA, Captain from 2016 to 2017, transferred to 15th Field Artillery Regiment RCA. ​Skuce, Conrad Sebastian Alain; Taken on strength as a Gunner in 15th Field Artillery Regiment RCA on 11 Jun 1996, qualified General Military Training on 30 Aug 1996, qualified QL3 Artillery on 24 Mar 1997, qualified Artillery Communications on 22 Feb 1998, promoted Bombardier on 4 Jun 1998, qualified M109 conversion on 13 Jul 2000, qualified Driver Wheeled on 26 Jan 2002, promoted Master Bombardier on 17 Apr 2003, Sergeant from 2006 to 2017, awarded the Brigadier Dumoulin trophy for 2007. Slack, SJ; Private in 85 Battery in 1969. Slater, James Henry; Taken on strength 6th Field Battery as Lieutenant for 3 months, attested Canadian Overseas Expeditionary Force 25 Apr 1916, regimental #333833, 63rd Overseas Depot Battery, arrived England 30 Nov 1916, taken on strength Reserve Brigade Canadian Field Artillery 30 Nov 1916, appointed Acting Bombardier 12 Mar 1917, arrives in France with 1st Divisional Ammunition Column 21 Mar 1917, automatically reverts to Private 21 Mar 1917, posted to 24th Battery 8th Brigade Canadian Field Artillery 7 Jul 1917, now known as 8th Army Brigade 8 Jul 1917, admitted #2 Casualty Clearing Station for appendicitis 17 Jul 1917, rejoined unit 28 Jul 1917, admitted #10 Canadian Field Ambulance for appendicitis 14 Nov 1917, invalided and posted to Canadian Artillery Regimental Depot 29 Nov 1917, taken on strength Reserve Brigade Canadian Field Artillery 17 May 1918, taken on strength Composite Brigade Canadian Reserve Artillery 23 Jun 1918, 68th Battery 16th Brigade Canadian Field Artillery 23 May 1918, proceeded overseas 23 Sep 1918, disembarked Archangel 16 Oct 1918, to hospital sick 8 Feb 1919, attached for base duty to 421st Battery Royal Field Artillery 13 May 1919, rejoined unit 2 Jun 1919, disembarked United Kingdom 19 Jun 1919, to Canada 5 Jul 1919, discharged 15 Jul 1919, deceased 7 Apr 1943 London ON. Slater, Rupert George; Taken on strength 2nd Battalion The British Columbia Regiment (DCOR), assigned regimental number K439515, taken on strength 85th Heavy Battery 15th (Vancouver) Coast Brigade RCA NPAM as a Gunner 12 Dec 1940. Slater (Drinnan), Margaret Agnes; Taken on strength as an Administrative Clerk in 15th Field Artillery Regiment RCA on 9 Jul 1979, qualified General Military Training on 2 Sep 1979, remuster Motor Support Equipment Operator on 1 May 1980, qualified TQ1 Motor Support Equipment Operator on 30 Jul 1980, qualified TQ2 Motor Support Equipment Operator on 15 Aug 1980, promoted Corporal on 30 Jul 1980, qualified TQ1 Administrative Clerk on 13 Jan 1987, qualified Driver Non-Trade on 18 Dec 1980, qualified TQ2 Administration Clerk on 1 Mar 1981, change of occupation to Administration Clerk on 1 Jun 1981, transferred to Supplementary List on 17 Oct 1985. Slater, Vern Andrew; Taken on strength 15th Field Regiment RCA on 5 Nov 1957, struck off strength on transfer to Seaforth Highlanders of Canada on 1 Jun 1958. Sloss, Patricia Jean; Taken on strength in 15th Field Artillery Regiment RCA on 7 Jul 1980, released 11 Jul 1980. Slugoski, S; Master Bombardier in 2014. 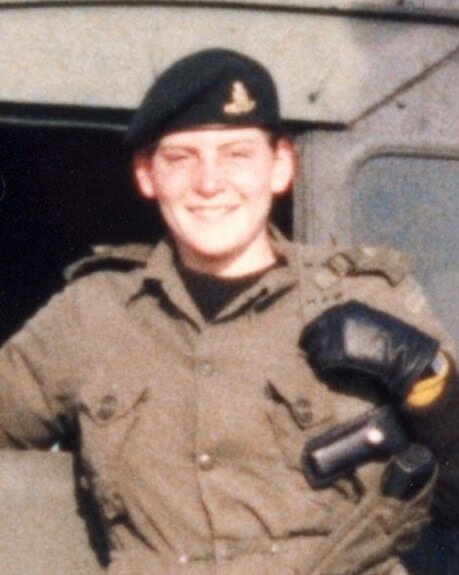 Sluys, Alice Evelyn; Taken on strength as a Musician in 15th Field Artillery Regiment RCA on 4 Apr 1989, transferred to Royal Westminster Regiment on 4 Apr 1989. 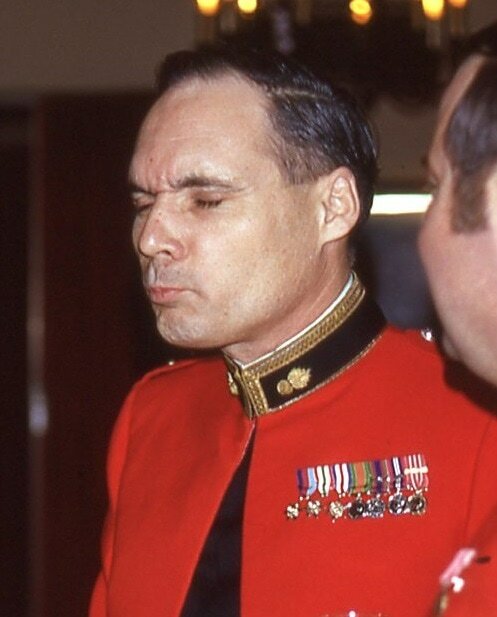 Smart, David Richard; Taken on strength as a Musician in 15th Field Artillery Regiment RCA on 24 Jun 1985, qualified General Military Training on 11 Jul 1985, qualified TQ1 Musician on 2 Aug 1985, promoted Bombardier on 24 Jun 1986, released 12 Dec 1987. 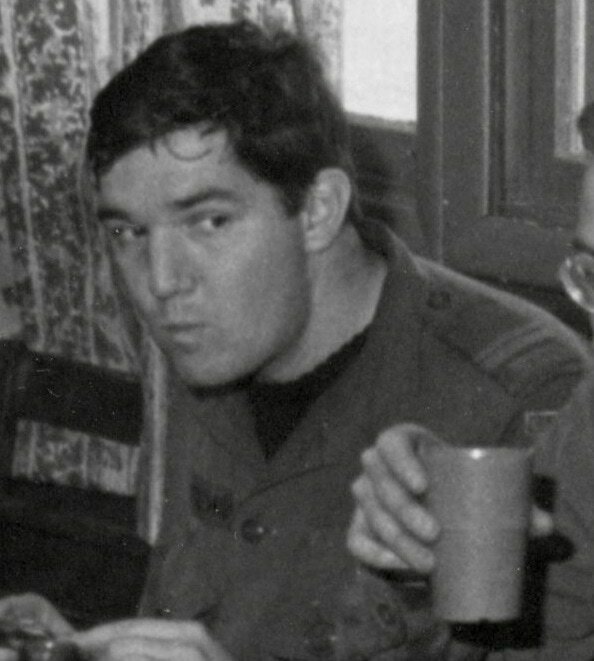 Smith, BN; Private in Regimental Headquarters in 1969. Smith, Benjamin Nash; Drafted 75th Depot Battery Canadian Field Artillery Canadian Expeditionary Force 13 Oct 1917, regimental #336205, embarked Halifax 22 Mar 1918, disembarked Glasgow 3 Apr 1918, taken on strength Reserve Brigade Canadian Field Artillery 3 Apr 1918, taken on strength 68th Battery 16th Brigade Canadian Field Artillery North Russia Expeditionary Force 8 Sep 1918, proceeded overseas 20 Sep 1918, disembarked Archangel 1 Oct 1918, Driver in "C" Sub Section, embarked for United Kingdom 11 Jun 1919, to Canada 18 Jul 1919, discharged 29 Jul 1919, deceased 5 Aug 1962, interred Anglican Cemetery Woodstock NB. 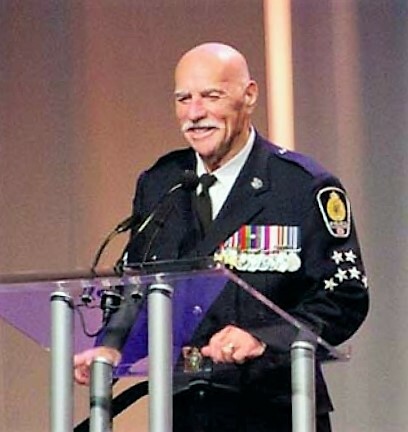 Smith, Bernard (Bernie) Merle; Member of 15th (Vancouver) Coast Brigade during World War II, stationed at Yorke Island, joined Vancouver City Police from 1945 to 1979, deceased 14 Nov 2012. Smith, Bradley Allen; Taken on strength as a Gunner in 15th Field Artillery Regiment RCA on 2 Jul 1981, qualified General Military Training on 18 Aug 1981, qualified Driver Non-Trade on 20 Feb 1982, qualified TQ1 Artilleryman on 1 Jul 1982, qualified TQ2 Artillery Basic Technician on 13 Aug 1982, qualified TQ2 Artillery Basic Communications on 23 Jul 1982, promoted Bombardier on 2 Jul 1982, qualified TQ2 Artillery Driver Wheeled on 17 Sep 1982, qualified M109 conversion on 28 Sep 1983, qualified Junior NCO on 27 Jul 1984, promoted Master Bombardier on 26 Jan 1985, released 12 Jun 1990, deceased 12 Jun 1990, buried Masonic Cemetery of British Columbia Burnaby BC. 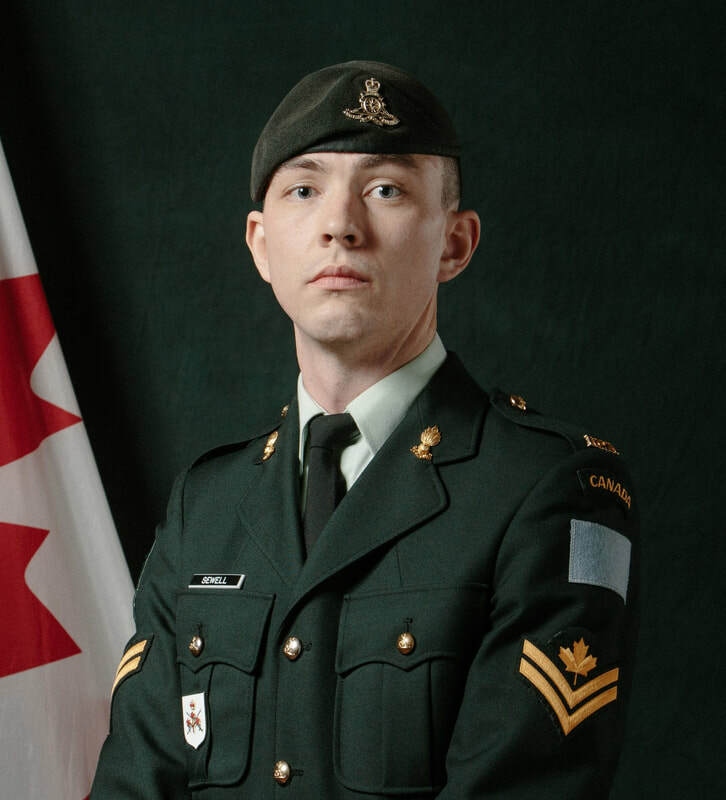 Smith, Brian E; Taken on strength as a Musician in 15th Field Artillery Regiment RCA, Bombardier from 2014 to 2017. 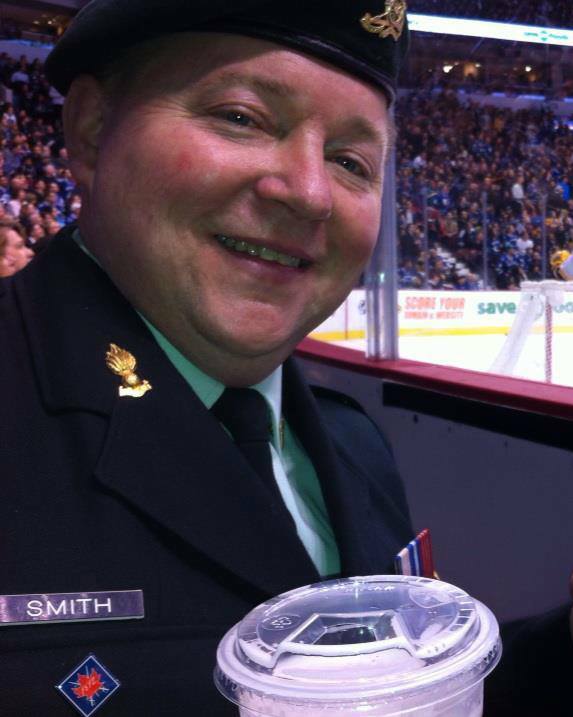 Smith, Bruce Anthony; Taken on strength as a Gunner in 15th Field Artillery Regiment RCA on 23 Jun 1982, qualified General Military Training on 11 Aug 1982, qualified TQ1 Artilleryman on 14 Oct 1982, qualified TQ2 Artillery Basic Communications on 13 Jan 1983, promoted Bombardier on 23 Jun 1983, qualified Driver Non-Trade on 22 Jul 1983, qualified Junior NCO on 29 Jun 1984, appointed Officer Cadet on 24 Mar 1985, qualified RESO 1 and 2 on 8 Aug 1985, promoted Second Lieutenant on 1 Sep 1985, qualified RESO Phase 3 on 7 Aug 1986, promoted Lieutenant on 7 Aug 1986, released 16 Dec 1986. Smith, Charles George; Taken on strength from General List 15th Coast Regiment RCA on 1 Apr 1946 as Captain, completed QM & QMS course by correspondence on 2 Feb 1948, struck off strength to Supplementary Reserve (RCA) on 4 Jan 1952, attached fap from Supplementary Reserve (RCA) on 1 Nov 1954. Smith, Charlie; Sergeant in 1934, Battery Quarter Master Sergeant in 1937. 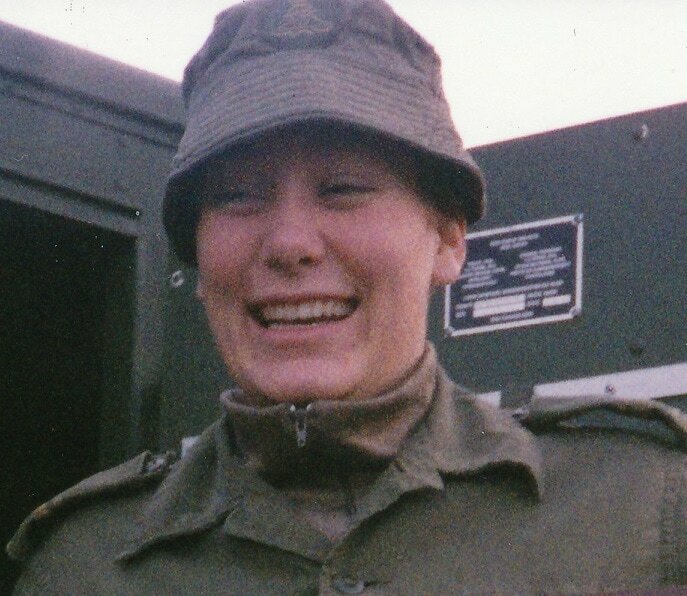 Smith, Delores Leonie; Taken on strength in 15th Field Artillery Regiment RCA on 7 Jul 1980, released 31 Aug 1980. Smith, Douglas Allan; Taken on strength as a Gunner in 15th Field Artillery Regiment RCA on 18 Jun 1988, released on 2 Nov 1988. Smith, Earle Kenneth; Taken on strength in 15th Field Artillery Regiment RCA with previous service on 30 Sep 1982, qualified General Military Training, qualified TQ1 Infantry, qualified TQ2 Infantry Communications, qualified Driver Non-Trade, qualified Junior NCO, promoted Master Bombardier on 1 Nov 1983, qualified TQ1 Cook on 6 Nov 1983, qualified TQ2 Cook on 13 Dec 1983, qualified TQ1 Supply Technician on 25 Jan 1984, change occupation to R861 Cook on 15 Jan 1985, released 1 Mar 1988, promoted Sergeant 23 Feb 1991, transferred to 11 Service Battalion on 1 Nov 1991. Smith, Edward Hayes; Married Agnes King 29 Aug 1911, taken on strength 68th Overseas Depot Battery Canadian Field Artillery 7 June 1916, assigned Regimental #33900, embarked Canada 15 Aug 1916, disembarked England 24 Aug 1916, posted to Canadian Field Artillery reserve, appointed Acting Bombardier 20 Nov 1916, appointed Acting Corporal 5 Dec 1916, reverts to Gunner 24 Jan 1917, appointed Acting Bombardier 12 Mar 1917, embarked for overseas 13 Mar 1917, arrived as reinforcement 2nd Heavy Battery 1 Apr 1917, reverts to Gunner 1 Apr 1917, to be Acting Bombardier 1 Apr 1917, joined unit 8 Apr 1917, severely reprimanded failing to obey an order in not wearing his gas helmet 14 Aug 1917, promoted Bombardier 15 Dec 1917, on course horse management 28 Feb 1918, rejoined unit 18 Mar 1918, granted 14 days leave 19 Mar 1918, now known as 2 Brigade Canadian Garrison Artillery 20 Mar 1918, promoted Corporal with pay 15 Jun 1918, killed in action 5 Sep 1918, awarded Military Medal for bravery in the field 30 Oct 1918, interred La Targette British Cemetery France. Smith, Ernest James; Taken on strength with 158 Battery 15th Coast Regiment RCA on 30 Oct 1947, struck off strength on 23 Nov 1950. Smith, Harry; Major in 1939, Battery Commander 1st Searchlight Regiment RCA in 1939. Smith, Ian Murray; Taken on strength as a Gunner in 15th Field Artillery Regiment RCA 30 Jun 1983, qualified General Military Training 19 Aug 1983, qualified Basic Artilleryman 10 Sep 1983, promoted Bombardier 30 Jun 1984, qualified Artillery Communications 20 Jul 1984, qualified Basic Artillery Technician 10 Aug 1984, qualified Driver Non-Trade 30 Dec 1985, qualified Combat Leader Course 3 Jul 1986, component transfers to Regular Force 24 Feb 1987, component transfers Reserve Force as Bombardier 1990, transferred to Supplementary Ready Reserve 1992, Master Bombardier from 1995 to 1996, promoted Sergeant 1996, presented Most Efficient Detachment Commander award in 1999, presented Dumoulin Trophy in 2002 and 2006, promoted Warrant Officer 2010, struck off strength 2015. Smith, Jesse Denver; Taken on strength as an Administrative Clerk in 15th Field Artillery Regiment RCA on 12 Nov 1992, qualified QL2 General Military Training on 24 Nov 1992, qualified QL3 & QL4 Administrative Clerk on 24 Nov 1992, transferred to Supplementary Ready Reserve on 6 Mar 1993. Smith, Keenan Paul; Taken on strength as a Gunner in 15th Field Artillery Regiment RCA on 2 Jul 1984, qualified General Military Training on 210 Aug 1984, qualified TQ1 Artillery on 22 Sep 1984, released on 15 Mar 1985. Smith, Len B; Sergeant from 1961 to 1969, Acting Battery Sergeant Major 85 Battery 15th Field Artillery Regiment RCA in 1961, Regimental Headquarters in 1969. 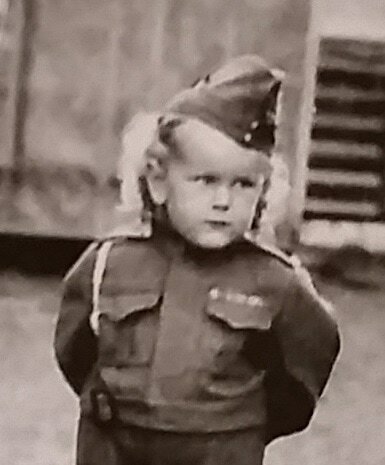 Smith, LB; Sergeant in Regimental Headquarters in 1969. Smith, Leslie Talbot; Taken on strength 15th Field Regiment RCA on 28 Mar 1957, struck off strength on release on 1 Aug 1957. Smith, LM; Taken on strength 15th Field Regiment RCA on transfer from 65 Light Anti-Aircraft Regiment (Irish Fusiliers) RCA CA(M)on 31 Jan 1958. 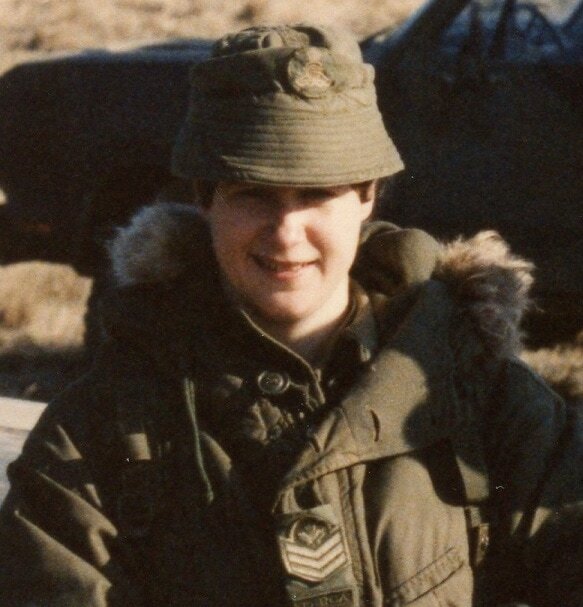 Smith, LT; Gunner in 1984. Smith, Malcolm John; Taken on strength as a Gunner in 15th Field Artillery Regiment RCA on 12 Jan 1985, qualified General Military Training on 9 Aug 1985, released 9 Oct 1986. 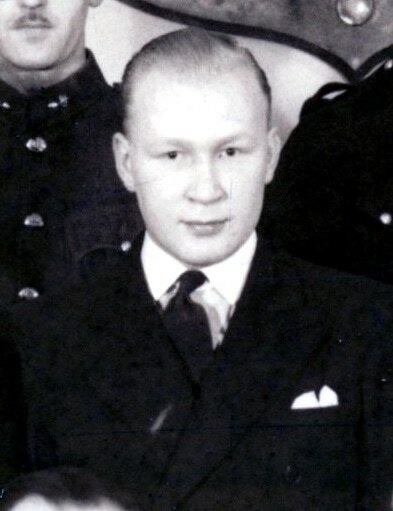 Smith, Michael Raymond; Taken on strength 15th Field Regiment RCA with former service with Royal Horse Artillery on 21 Nov 1957, struck off strength on release on 17 Apr 1958. Smith, Norman Frederick; Second Lieutenant in 31st Field Battery Canadian Artillery on 6 Jan 1930, Qualified Artillery (Mobile) from 6 Jan to 1 Mar 1930, Lieutenant in 15th Field Brigade Canadian Artillery from 1930 to 1934, Major in 8th Field Regiment Royal Canadian Artillery on 1 Mar 1944. 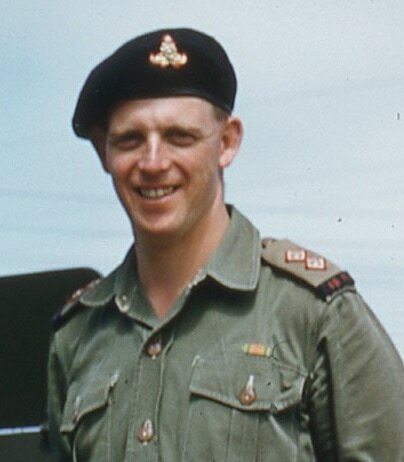 Smith, Patrick H; Taken on strength on transfer from 65 Light Anti-Aircraft Regiment (Irish Fusiliers) RCA (M) as Staff Sergeant on 17 Jan 1957, promoted Acting Warrant Officer Class II on 1 Oct 1957, promoted substantive Warrant Officer Class II on 1 Oct 1958, awarded Brigadier Dumoulin trophy in 1964,Warrant Officer Class I and Regimental Sergeant Major from 1966 to 1969, Cadet Instructor Cadre Lieutenant from 1976 to 1978. 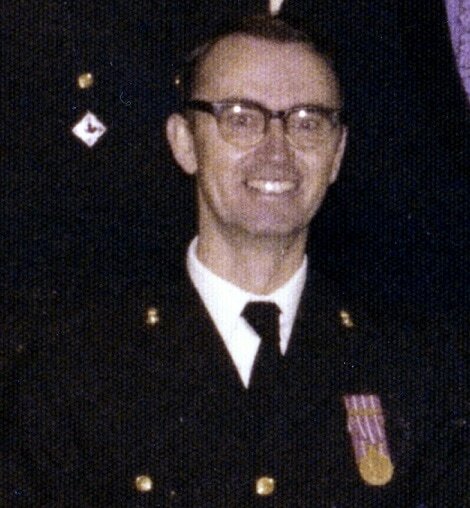 Smith, R; Master Warrant Officer in Regimental Band in 1969. ​Smith, Ralph Harford; Taken on strength from the Supplementary Reserve of Officers as a Captain in 15th Field Regiment RCA on 1 Apr 1948, transferred to the Supplementary Reserve (RCAPC) in the rank of Captain. Smith, Robert Orton; Taken on strength as a Gunner in 15th Field Regiment RCA on 4 Nov 1948, struck off strength on 15 Feb 1954. Smith, Robert Reid; 68th Battery Canadian Field Artillery Gunner Dec 1916, England Feb 1917, France 82nd Heavy Battery 8th Army Brigade, Driver May, 1917, Wounded Vimy, April 9, 1917, Wounded Arras Aug 1918, invalided to England Sept 1918, Canada and discharged April 1919. Smith, Robert William; Taken on strength 15th Field Regiment RCA on enrolment on 10 May 1956, struck off strength on release on 15 Jan 1958. Smith, Ronald William; Taken on strength 15th Field Regiment RCA on enrolment on 1 Sep 1956. 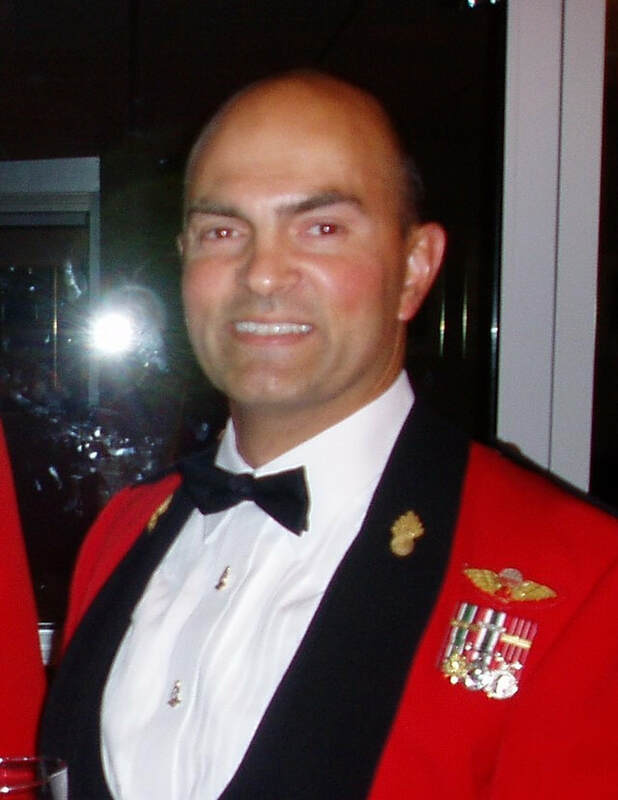 Smith, Roy Grant; Honorary Major from 2007 to 2008, Honorary Colonel from 2010 to 2014. 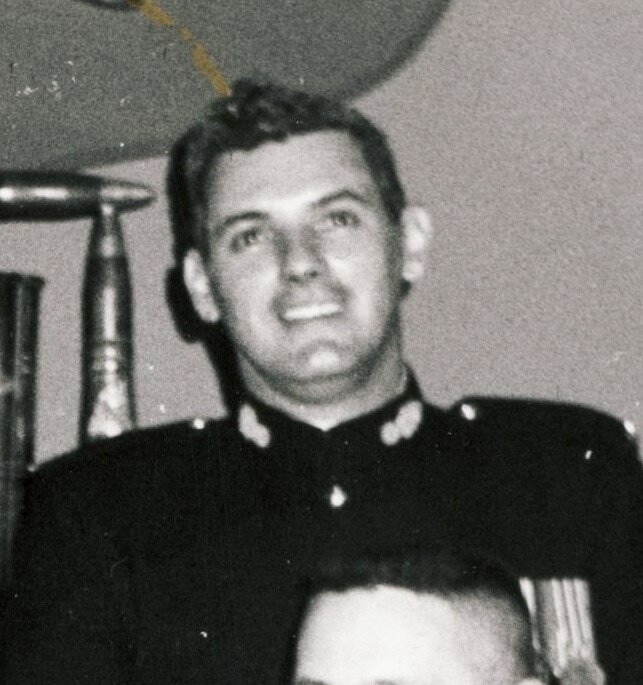 Smith, Terry; Regular Force Chief Clerk Sergeant in 1978. Smith, WA; Private in 31 Battery in 1969. Smith, William Robert; Taken on strength as a Gunner in 58th Battery 15th (Vancouver) Coast Brigade RCA on 10 July 1940, deceased 29 July 1941 from accidental drowning, buried at Mountainview Cemetery. Smitheringale, William Roy; Taken on strength as a Musician in 15th Field Artillery Regiment RCA on 23 Mar 1989, qualified TQ 1-3 Musician on 28 Aug 1989, released 4 Feb 1994. ​Smitlener, Vesna; Taken on strength as an Administrative Clerk in 15th Field Artillery Regiment RCA on 16 Mar 1989, qualified General Military Training on 2 Jun 1989, transferred to Regular Force on 26 Sep 1989. 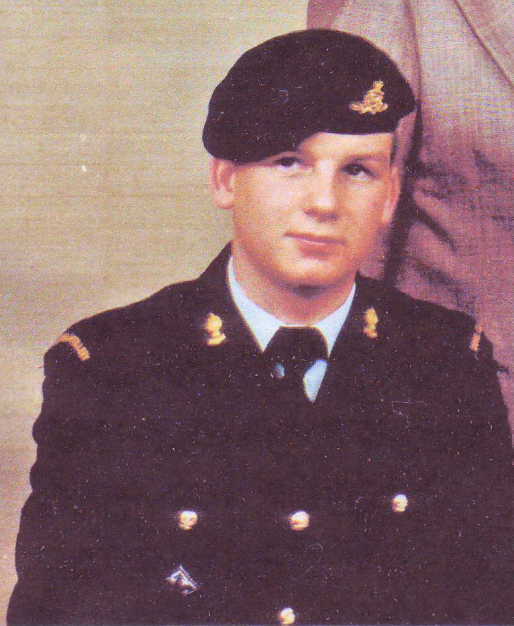 Smythe, Ronald David; Taken on strength as a Gunner in 15th Field Artillery Regiment RCA on 3 Mar 1977, qualified Artilleryman Trade Qualification 1 on 25 Aug 1971, promoted Bombardier on 1 Apr 1978, released 23 Dec 1978. Snelgrove, James Bertram; Taken on strength as a Gunner with 58th Battery 15th (Vancouver) Coast Regiment RCA NPAM on 2 Aug 1940, assigned regimental number V9997, employed as Camp Trumpeter, taken on strength 15th (Vancouver) Coast Regiment RCA CASF 3 Oct 1940. Snow, Charles Hope; Gunner (Acting/Lance Bombardier) in 85th Heavy Battery 15th (Vancouver) Coast Brigade RCA on 26 Aug 1939, nicknamed the Egg, taken on strength 15 Coast Regiment RCA on 10 Oct 1946, struck off strength on enlisting in Canadian Army Active Force on 7 Nov 1946. 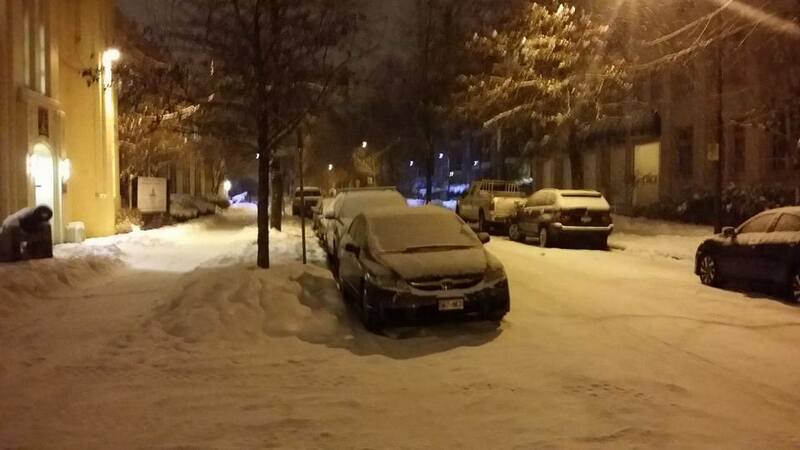 Snow, WH; Private in 85 Battery in 1969. Soden-Irwin, William Wilson; Taken on strength Canadian Field Artillery, Captain, taken on strength Royal Field Artillery, Major, relinquished due to ill-health 4 Sep 1917, Captain Ammunition Column 15th Brigade Canadian Field Artillery from 1922 to 1924, Lieutenant-Colonel, Commanding Officer Irish Regiment of Canada 1935. Soglo, W; Gunner in 15th Field Regiment RCA in 1957, struck off strength on release on 1 Aug 1957, appointed Lance Bombardier on 1 Nov 1958. Solberg, Clayton David; Taken on strength as a Gunner in 15th Field Artillery Regiment RCA on 11 Apr 1996, qualified QL2 General Military Training on 26 Jul 1996, qualified QL3 Artillery on 20 Aug 1996, transferred to Airfield Engineering Unit on 1 Apr 1997. Solidum, Dominador Jr.; Taken on strength as a Gunner in 15th Field Artillery Regiment RCA on 26 Mar 1983, released on 29 Aug 1983. Solloway, Francis Gladstone (Pott); Royal Flying Corps in World War I, Lieutenant in 68th Battery 15th Field Brigade Canadian Artillery from 1928 to 1930, Captain in 1939 in the Corps Reserve of Officers, deceased 27 Apr 1977, buried at Mountain View Cemetery. 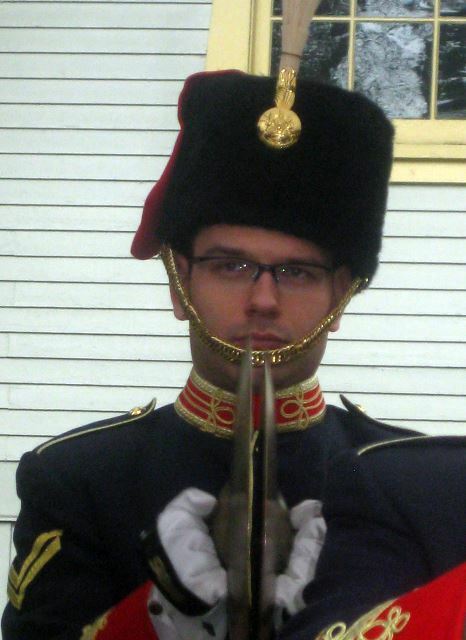 Solomakha, Alexei; Taken on strength as a Musician in 15th Field Artillery Regiment RCA, Bombardier from 2014 to 2017. Solomon, David Andrew; ​Taken on strength as a Musician in 15th Field Artillery Regiment RCA on 1 Jun 1993, released on 3 Dec 1998. Soltis, Edward Richard; Taken on strength 15 Field Regiment RCA on 7 Oct 1954, struck off strength on release on 1 Dec 1955. 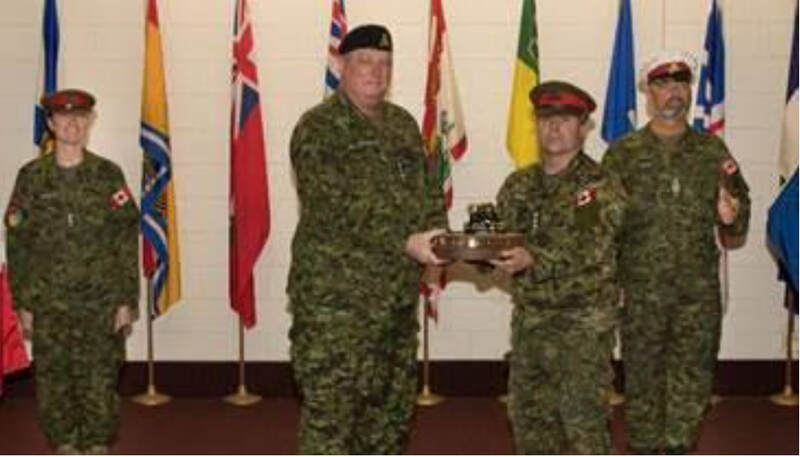 Soltys, Mateusz W; Taken on strength as a Gunner in 15th Field Artillery Regiment RCA, awarded Most Efficient Recruit of the Year trophy 2011, awarded Gunner Douglas Corsor Jr. memorial trophy in 2012, Bombardier from 2014 to 2017. 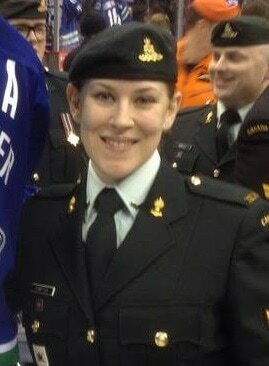 Soltys, Monika H; Taken on strength as a Gunner in 15th Field Artillery Regiment RCA, Bombardier from 2014 to 2017. Somers, EG; Taken on strength 15th Field Regiment RCA on transfer from 18 Medium Battery RCA CA(M) as Bombardier on 30 Apr 1958, appointed Lance Sergeant on 1 Nov 1958. Sorensen, Andrew Richard; Taken on strength as a Gunner in 15th Field Artillery Regiment RCA on 3 Jun 1993, qualified QL2 General Military Training on 25 Aug 1993, qualified QL3 Artillery on 28 Mar 1994, released on 31 Jan 1995. Sorensen, Christian Jamsen; Attested into Canadian Overseas Expeditionary Force 29 Apr 1916, 13th Canadian Mounted Rifles, Regimental number 228285, embarked Halifax 28 Jun1916, disembarked Liverpool 5 Jul 1916, transferred to RCR & PPCLI Depot 19 Jul 1916, transferred to Canadian Siege Battery 19 Sep 1916, taken on strength 165th Siege Battery 26 Jan 1917, 165th Siege Battery now 5th Canadian Siege Battery 11 Jan 1917, deceased 21 Apr 1917, buried Cabaret-Rouge British Cemetery, Souchez Pas de Calais France. Sorenson, Sverre; Born in Norway, emigrated to New Zealand, Captain in the New Zealand Mounted Rifles, attested into 68th Overseas Depot Battery 21 Feb 1916, arrived in England 22 Sep 1916, appointed Acting Battery Sergeant Major, appointed Acting Regimental Sergeant Major of 4th Division Ammunition Column 15 Jul 1916, appointed Acting Battery Sergeant Major Warrant officer 2nd Class 5th Canadian Divisional Artillery Column 22 Sep 1916, proceeded to France 21 Aug 1917, appointed Acting Regimental Sergeant Major 30 Non 1917, promoted Warrant officer Class I 8 Feb 1918, proceeded to England 11 May 1919, awarded Military Cross 3 Jun 1919, proceeded to Canada 12 Jun 1919, discharged from Canadian Expeditionary Force on 27 Jun 1919, promoted Warrant Officer Class I and appointed Regimental Sergeant Major 15th Field Brigade Canadian Artillery from 1924 to 1930, deceased 24 Apr 1956, buried Mountainview Cemetery. Soua, Linda (Mimi); Taken on strength as a Gunner in 15th Field Artillery Regiment RCA on 25 Feb 1993. Soucie, Garry Brad Joseph; Taken on strength as a Gunner in 15th Field Artillery Regiment RCA on 30 Nov 1985, released on 30 Jan 1986. ​Southey, Herbert William; Taken on strength 31 Battery 15th (Vancouver) Coast Brigade RCA NPAM 30 Jul 1940, assigned regimental number V9491, appointed Acting Battery Sergeant Major 15 Sep 1940, assigned new regimental number K415501. 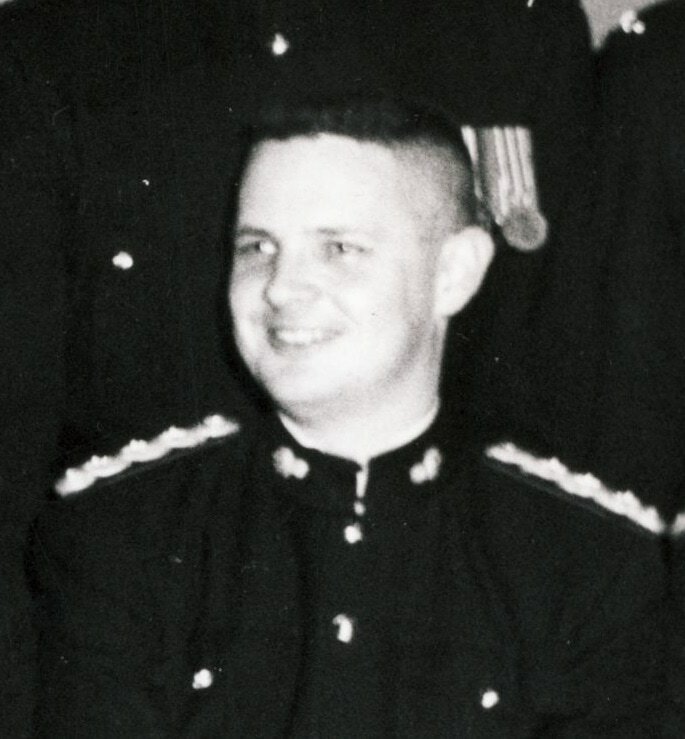 Sparling, GN; Sergeant in the Regimental Band in 1969. ​Spence, Ross Munro; Taken on strength as a Gunner with 85th Battery 15th (Vancouver) Coast Regiment RCA NPAM on 2 Aug 1940, assigned regimental number V10443, assigned new regimental number K417559, to be Acting Lance Bombardier 11 Oct 1940. Spencer, Benjamin Little Chief; Taken on strength as a Gunner in 15th Field Artillery Regiment RCA on 3 Oct 1985, released on 29 Dec 1985. 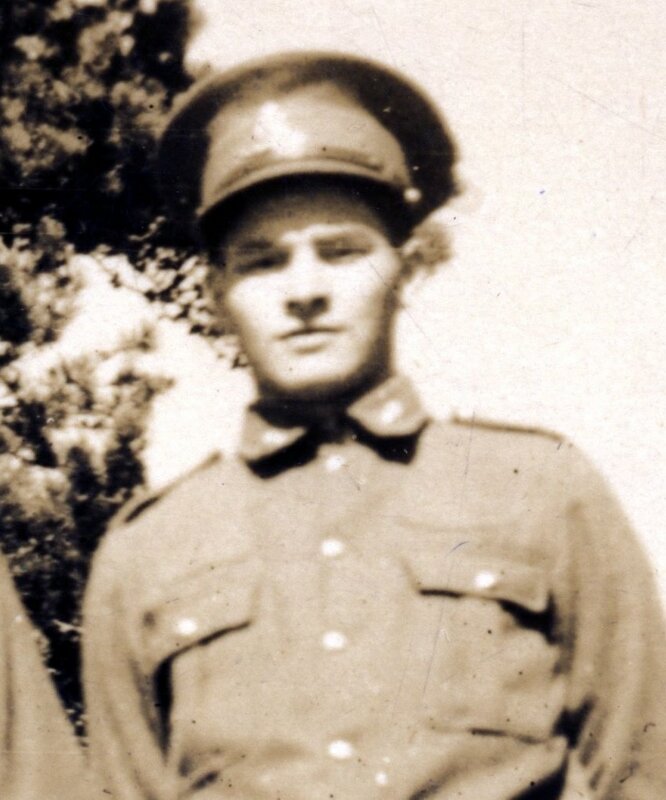 Spencer, William Allen; Taken on strength as a Gunner with 85th Battery 15th (Vancouver) Coast Regiment RCA NPAM on 2 Aug 1940, assigned regimental number V10444, assigned new regimental number K417560. ​Spierling, Olaf; Taken on strength as a Gunner in 15th Field Artillery Regiment RCA on 23 Jun 1982, released 6 Aug 1982. 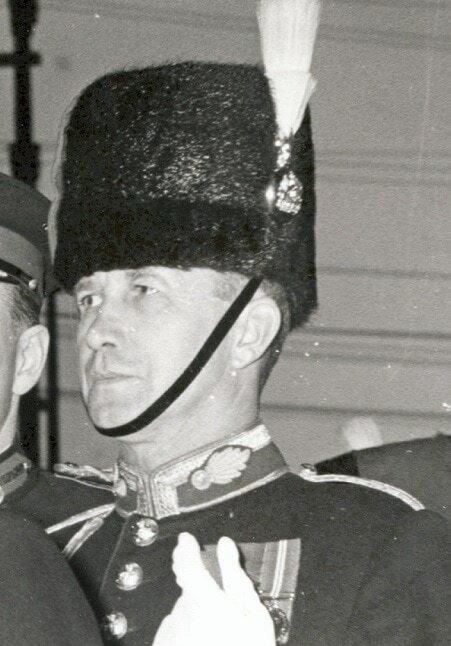 Spragg, Cecil Kenneth; Sergeant in the 43rd Medium Anti-Aircraft Regiment RCA CA(M) Military Band in 1958, Staff Sergeant in 1960, enroled as a Warrant Officer Musician from Supplementary List on 1 Jun 1980, released 25 May 1982. Spratley, PE; Private in 31 Battery in 1969. Spray, Robert Bernard; Captain in 15th Field Regiment RCA from 29 Feb 1948, promoted Major on 1 Jan 1949, appointed Officer Commanding 85 Battery on 1 Jan 1949, attached FAP from Supplementary Reserve (RCA) on 9 Apr 1953, attachment from Supplementary Reserve (RCA) cancelled on 1 Dec 1954. ​Spring, Bob; ​Taken on strength with 15th Field Regiment RCA on 1 Oct 1959 as Second Lieutenant on transfer from Canadian Officers Training Corps (COTC), promoted to Lieutenant on 1 Jan 1960, struck off strength to Supplementary Reserve on 4 Jan 1962, taken on strength from Supplementary Reserve on 2 Sep 1964, promoted Captain on 1 Mar 1965, appointed Adjutant on 1 Jan 1966, ceased appointment as Adjutant and struck off strength to Supplementary Reserve on 27 Oct 1967, Museum Trustee with 15th Field Artillery Regiment Museum. Spring, Robert Dixon; Taken on strength as a Gunner in 85th Battery 15th (Vancouver) Coast Brigade RCA on 23 September 1939, transferred to 111th Field Battery Edmonton on 6 February 1940, disembarked Gourock Scotland on 5 September 1940, taken on strength by 6 Field Regiment RCA on 17 July 1942, appointed Acting Lance Bombardier on 17 July 1942, appointed Acting Bombardier on 12 August 1942, confirmed Bombardier 12 November 1942, to be Lance Sergeant 3 January 1944, reduced to Bombardier 7 January 1944, deceased 23 August 1944 killed in action, buried at Bretteville-sur-Laize Canadian Military Cemetery. Spruston, Tymothy Arthur David; Taken on strength as a Gunner in 15th Field Artillery Regiment RCA on 8 Feb 1996, qualified QL2 General Military Training on 30 Aug 1996, qualified QL3 Artillery on 24 MAr 1997,qualified QL4 Artillery Communications on 22 Feb 1998, promoted Bombardier, qualified Combat Leaders Course on 28 Sep 2000, operational tour with SFOR from 2002 to 2003. Spyker, Ralph; Taken on strength 15th Field Regiment RCA on 6 Jun 1958. St Germain, Robert William; Taken on strength as a Gunner in 15th Field Artillery Regiment RCA on 26 Feb 1976, qualified General Military Training on 5 Jun 1976, qualified Artilleryman Trade Qualification 1 on 3 Aug 1976, promoted Bombardier on 1 Apr 1977, released 1 Jan 1979. St John, Anthony Philip; Taken on strength (former service British Army) in 15th Field Regiment RCA on 27 Aug 1951, qualified basic para on 8 Feb 1952, struck off strength on enrolment in Canadian Army Active Force on 10 Jun 1952. ​St. Denis, Tyrone Wilfred; Taken on strength as a Gunner in 15th Field Artillery Regiment RCA on 8 Mar 1984, released on 10 May 1984. Stacey, Alexander; Taken on strength with former service with Royal Winnipeg Rifles 15th Field Regiment RCA on 13 Sep 1951, struck off strength on 21 Feb 1952. Staetter, Barbara Dolores Nicolette; Taken on strength as a Gunner in 15th Field Artillery Regiment RCA on 30 May 1995, released on 11 Apr 1996. Stafford, George Harold ; Taken on strength as a Gunner with 58th Battery 15th (Vancouver) Coast Regiment RCA NPAM on 7 Aug 1940, assigned regimental number V1001, assigned new regimental number K416606. Stalker, William M; Taken on strength 15th Field Regiment RCA on enrolment on 19 Apr 1956, struck off strength on release on 30 Sep 1956. ​Stanley, Trevor William; Taken on strength as a Gunner in 15th Field Artillery Regiment RCA on 24 Mar 1983, released on 29 Aug 1983. 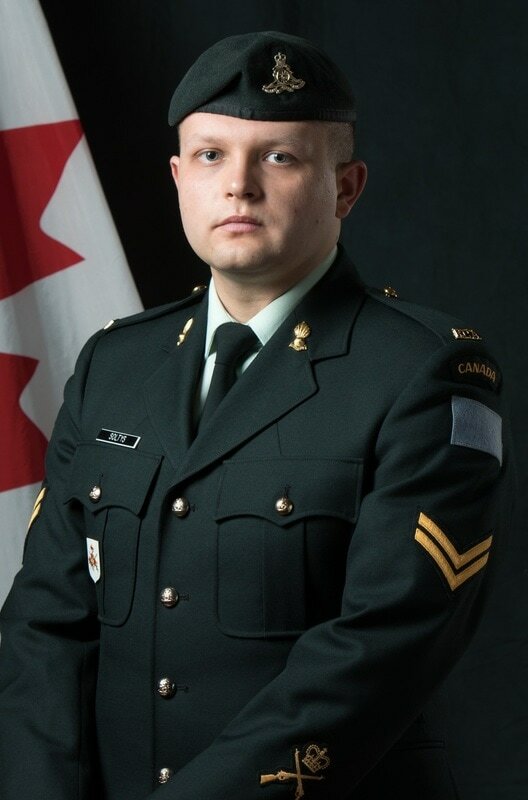 Staples, Mark G; Taken on strength 15th Field Artillery Regiment RCA 13 Dec 2014, promoted Second Lieutenant 14 Dec 2014, Troop Commander 31 Battery Sep 2015 to Aug 2016, completed Basic Officer Military Qualification -Land (BOMQ-L) in Gagetown NB May to Jul 2016, , Lieutenant in 29 Jul 2016, completed Developmental Period 1.2 in Gagetown NB Sep to Dec 2016, Troop Commander Tech Troop Jan 2017, component transfer to Regular Force 27 Apr 2017, posted B Battery 1st Regiment Royal Canadian Horse Artillery 27 Apr 2017. ​Stapleton, Erica Venece; Taken on strength as a Gunner in 15th Field Artillery Regiment RCA on 22 Apr 1997, qualified QL2 General Military Training on 14 Jun 1997, released on 7 Nov 1997. Stark, John Alexander; Taken on strength as a Gunner in 15th Field Artillery Regiment RCA on 1 Nov 1977, qualified General Military Training on 15 Jan 1979, qaulified Artilleryman Trade Qualification 1 on 5 Apr 1980, promoted Bombardier on 1 Sep 1980, struck off strength transferred on 16 Oct 1981. Starr, Frederick Albert Evans; Attested “C” Battery Royal Canadian Horse Artillery Canadian Overseas Expeditionary Force 7 Apr 1916, regimental #349016, embarked Canada 16 Jul 1916, disembarked England 25 Jul 1916, taken on strength Reserve Brigade Canadian Field Artillery 25 Jul 1916, to 2nd Division Ammunition Column 25 Oct 1916, posted to 7th Brigade Canadian Field Artillery 27 Oct 1916, taken on strength 4th Brigade Canadian Field Artillery 20 Mar 1917, wounded 30 Oct 1917, invalided sick and posted to Canadian Artillery Regimental Depot 3 Nov 1917, on command 2nd CCD 7 Dec 1917, taken on strength Reserve Brigade Canadian Field Artillery 25 Jan 1918, taken on strength Composite Brigade Canadian Reserve Artillery 23 May 1918, taken on strength 68th Battery 16th Brigade Canadian Field Artillery North Russia Expeditionary Force 8 Sep 1918, proceeded overseas 20 Sep 1918, disembarked Archangel 1 Oct 1918, Gunner in "C" Sub Section, embarked for United Kingdom 11 Jun 1919, to Canada 5 Jul 1919, discharged 15 Jul 1919, deceased 24 Jan 1975, interred Mount Pleasant Cemetery London ON. ​Startup, Catherine; Taken on strength in 15th Field Artillery Regiment RCA on 4 Jul 1977, released 28 Aug 1977. Startup, Christopher John; Taken on strength as a Musician in 15th Field Artillery Regiment RCA on 8 Jan 1981, qualified TQ1 Musician on 26 Jun 1981, qualified General Military Training on 16 Aug 1981, qualified TQ2 Musician on 7 Sep 1981, promoted Bombardier on 8 Jan 1992, promoted Master Bombardier on 8 Jan 1984, released on 6 Nov 1986. States, Lars Alan; Taken on strength as a Gunner in 15th Field Artillery Regiment RCA on 24 Mar 1983, released on 25 Oct 1983. Statt, Wendy Sylvia; Taken on strength as an Administrative Clerk in 15th Field Artillery Regiment RCA on 4 Feb 1978, released 2 Sep 1978. 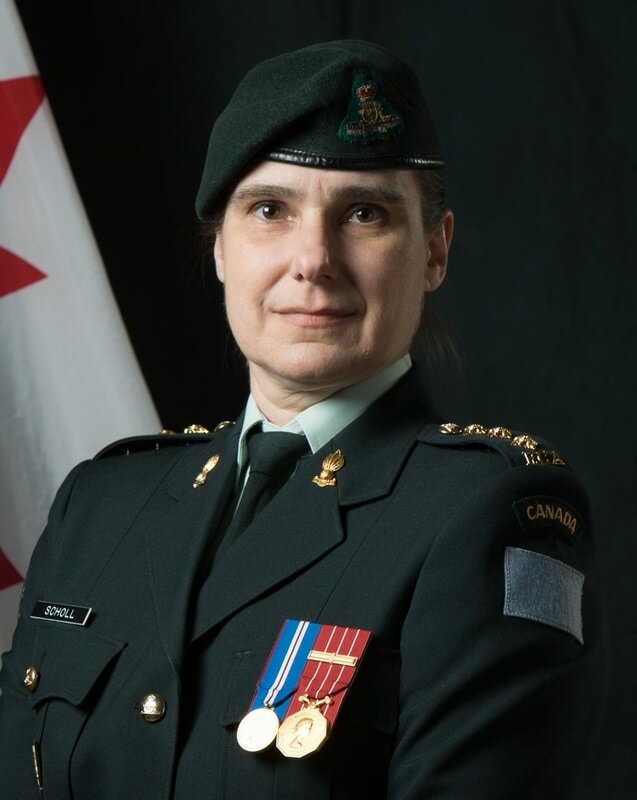 Stec (Dennison), Lilian Patricia; Taken on strength as a Finance Clerk in The British Columbia Regiment on 27 Jan 1987, qualified General Military Training on 23 Apr 1987, qualified TQ1 Finance on 31 Aug 1987, qualified TQ1 Administration on 27 Aug 1987, transferred to 15th Field Artillery Regiment RCA on 8 Dec 1987, qualified TQ2 Administration on 29 Jan 1988, promoted Acting Corporal on 1 May 1988, released on 3 Apr 1991. ​Steckler, Adam; Taken on strength 15th Field Regiment RCA CA(M) Military Band on 1 Oct 1959. Steeple, Albert Arthur; Served with Vancouver Volunteer Reserve, attested 68th Overseas Depot Field Battery 8 May 1917, regimental number 339711, promoted Corporal 11 Dec 1917, promoted Acting Sergeant 23 Jan 1918, embarked Halifax 10 Feb 1918, disembarked Glasgow Scotland 25 Feb 1918, reverts to Gunner 26 Feb 1918, taken on strength 68 Battery 16th Brigade Canadian Field Artillery North Russia Expeditionary Force 7 Sep 1918, proceeded overseas to North Russia 20 Sep 1918, arrived Archangel 1 Oct 1918, embarked for United Kingdom 11 Jun 1919, embarked for Canada 5 July 1919; discharged 19 Jul 1919, married Winifred Pearson 6 Dec 1926, deceased 12 May 1936, buried Mountainview Cemetery Vancouver BC. Steffen, Erik Martin; Taken on strength as a Gunner in 15th Field Artillery Regiment RCA on 13 Feb 2003, qualified Basic Military Qualification on 1 Aug 1985, qualified Soldier Qualification on 28 Aug 2005, released on 7 Apr 2005. Steffen, Walter Ernst Otto; Taken on strength 15th Field Regiment RCA on enrolment on 29 Dec 1955. Stengel, HW; Private in 85 Battery in 1969. Stengel, MA; Private in 85 Battery in 1969. 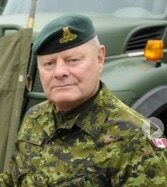 Stephan, SE; Captain in 1958, 43rd Medium Anti-Aircraft Regiment RCA in 1958, awarded Canadian Forces Decoration in 1961, Major in 209 Battery in 1962. 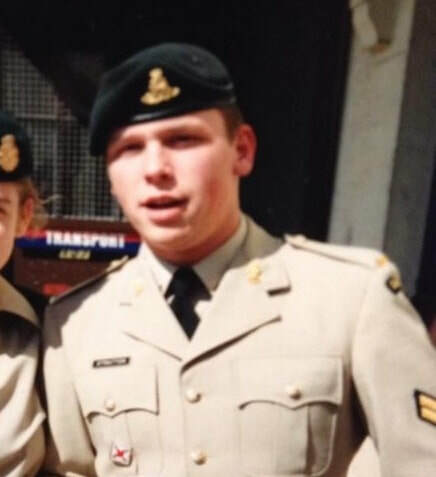 Sterkenburg, Timothy M; Taken on strength as a Gunner in 15th Field Artillery Regiment RCA on 11 Jun 1996, qualified QL2 General Military Training on 30 Aug 1996, awarded Most Efficient Recruit of the Year trophy 1995/1996, qualified QL3 Artillery on 24 Mar 1997, released on 23 Nov 2000. Sterling, John; Taken on strength 15 Field Regiment RCA on 21 Dec 1950, struck off strength enlisted Canadian Army (Active Force) on 6 May 1951. 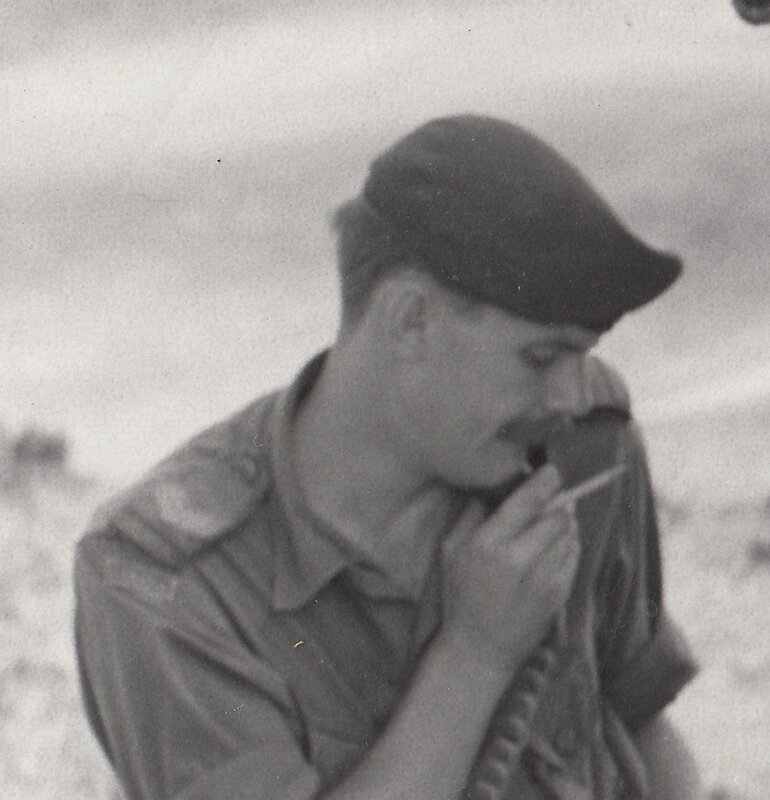 ​Sterne, Donald Elvin; Taken on strength 15th Field Regiment RCA on enrolment on 12 Jan 1956. ​Steves, Harold; Regimental Mascot for the 58 Battery detachment 15th (Vancouver) Coast Brigade that was stationed in Steveston during World War II. A Battle Dress uniform was tailored to fit. Harold's family was one of the founding members of the Steveston and Harold went on to become a Member of the Legislature and a long-time city councillor. ​Stevens, Robert James; Taken on strength in 15th Field Artillery Regiment RCA on 3 Jul 1978, released 27 Aug 1978. 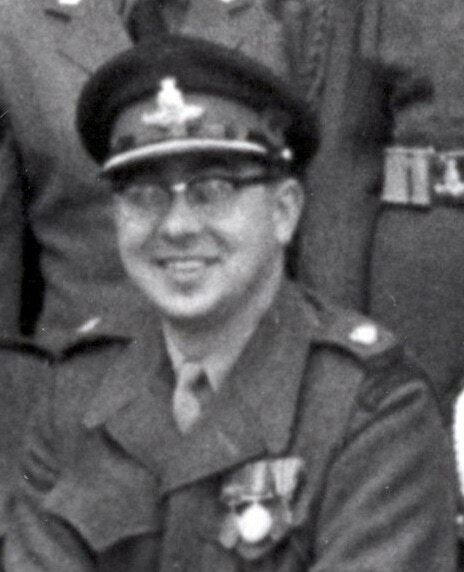 ​Stevenson, John Donaldson; Taken on strength with 15 Field Regiment RCA on 27 Nov 1947 as Captain Medical Officer Supernumerary, struck off strength to Supplementary Reserve (RCAMC) on 14 May 1949. 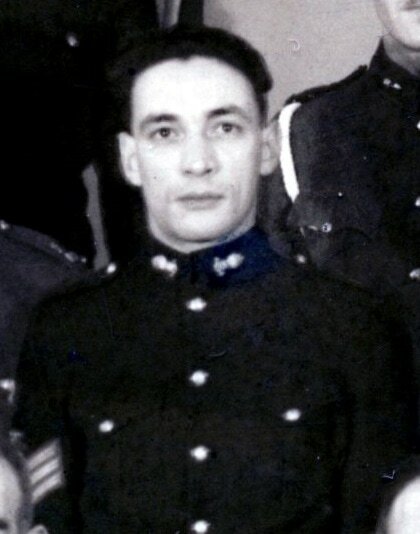 Stevenson, John Harold; Taken on strength with 85 Battery 15th Field Regiment RCA on 20 May 1948, appointed Bombardier on 1 Jun 1948, appointed Acting Sergeant on 1 Jul 1948, substantive Sergeant on 16 Sep 1948, appointed Acting Warrant Officer Class II on 2 May 1949, struck off strength on discharge under KR(CAN) 372-xv on 13 Jun 1951, taken on strength on appointment as Lieutenant on 14 Jun 1951, struck off strength on transfer to Supplementary Reserve RCA. Stevenson, Robert Duncan; Taken on strength as a Gunner in 15th Field Artillery Regiment RCA on 7 Jul 1980, qualified General Military Training on 27 Sep 1980, qualified Artilleryman Trade Qualification 1 on 7 Jul 1981, released 1 Apr 1982. Stevenson, Robert Victor; Officer Cadet with the UBC Canadian Officer Training Corps from 1948 to 1950, commissioned Lieutenant in 1950, taken on strength 102nd Coast Regiment RCA on 2 Oct 1950, transfered to 15th Field Regiment RCA on 25 Oct 1954, promoted Captain on 1 Jan 1957, promoted Major in Mar 1965, appointed Second in Command in Nov 1973, transferred to Supplementary Reserves in Nov 76, appointed Commanding Officer of 2472 Royal Canadian Army Cadets in Jan 1977, transferred to Supplementary Reserve in May 1988, Honorary Lieutenant-Colonel 15th Field Artillery Regiment from 22 Apr 1995 to 21 Apr 2004, struck off strength 2004, a teacher and Vice-Principal with the Vancouver School Board, Director of the 15th Field Artillery Museum, deceased 30 May 2010. Stevenson, Thomas William Watt; ​Taken on strength as a Gunner with 58th Battery 15th (Vancouver) Coast Regiment RCA NPAM on 31 Jul 1940, assigned regimental number V1002, taken on strength 15th (Vancouver) Coast Regiment RCA CASF 6 Oct 1940. Stewart; Captain 43rd Heavy Anti-Aircraft Regiment RCA in 1954. 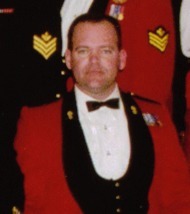 Stewart, Angus Cadell; Taken on strength as a Trooper in The British Columbia Dragoons on 12 Jul 1988, qualified General Military Training on 26 Aug 1988, transferred to 15th Field Artillery Regiment RCA on 1 Sep 1988, released on 4 Mar 1989. 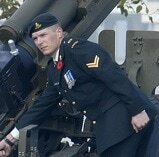 ​Stewart, Craig Duncan; Taken on strength in 15th Field Artillery Regiment RCA in 1970, Gunner in 1972, Bombardier in 1973. ​Stewart, Graeme William; Taken on strength as a Second Lieutenant in 15th Field Artillery Regiment RCA with previous service on 22 Apr 1982, qualified General Military Training, qualified Block 1 and 2, qualified MITCP Block 3 on 29 Jun 1983, qualified MITCP Block 4 on 20 Jul 1984, qualified Artillery Block 5 on 4 Aug 1984, qualified Artillery Block 6 on 17 Aug 1984, promoted Lieutenant on 1 Mar 1986, qualified MITCP Block 7 on 23 May 1985, qualified MITCP Block 8 on 31 May 1985, qualified ICT Artillery Captain on 24 Jul 1987, promoted Captain on 13 May 1988, employed BC District Headquarters, qualified Militia Officers Staff Course conversion on 13 Jan 1989, released 19 Jul 1989, deceased on 18 July 1989. ​Stewart, Harold James Wesly; Taken on strength 15th Fd Regiment RCA on 18 Sep 1952, struck off strength on 30 Jun 1954. Stewart, Herbert; Attested Canadian Overseas Expeditionary Force 27 Mar 1915, #90128, taken on strength 3rd Battery Canadian Field Artillery 12 Jun 1915, transferred to 2nd Divisional Ammunition Column 30 Aug 1915, arrived in France 16 Sep 1915, taken on strength 7th Brigade Canadian Field Artillery 3 Mar 1916, taken on strength 6th Brigade Canadian Field Artillery 22 May 1916, granted leave of absence 28 May 1916, rejoined unit 5 Jun 1916, invalided sick posted to Canadian Artillery Regimental Depot 14 Aug 1917, attached to 2 CCD 5 Oct 1917, cease attachment to 2 CCD 22 Nov 1917, transferred to Reserve Brigade Canadian Field Artillery 18 Nov 1917, taken on strength Canadian School of Gunnery 27 Dec 1917, taken on strength Composite Brigade 22 May 1918, taken on strength 16th Brigade Canadian Field Artillery 21 Aug 1918, disembarked in Archangel 1 Oct 1918, awarded St Georges' Medal, embarked Archangel 11 Jun 1919, to Canada 16 Jul 1919, discharged 11 Aug 1919, deceased 27 Aug 1957. 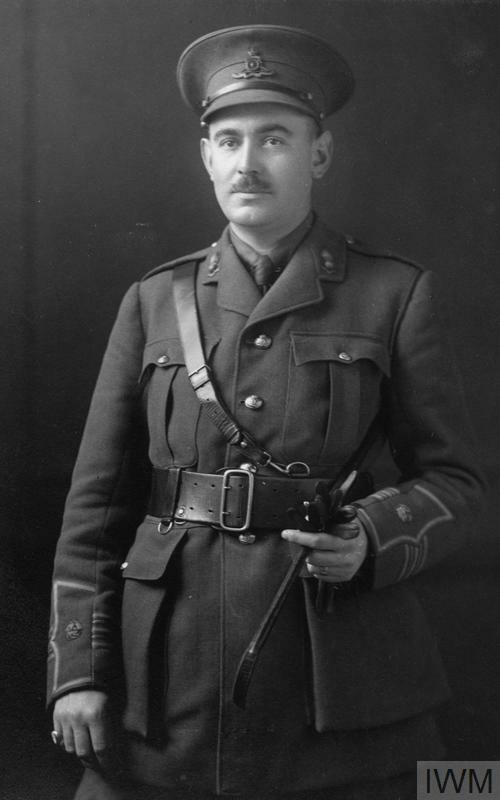 ​Stewart, James Crossley; Taken on strength 23 Jun 1917, promoted Major 1 Apr 1920, Promoted Brevet Lieutenant-Colonel, promoted Lieutenant-Colonel 1 May 1928, appointed Assistant Adjutant & Quartermaster-General 13th Military District 1 Mar 1934, promoted Colonel 26 Jan 1936, appointed District Officer Commanding 1st Military District, promoted temporary Brigadier 26 Jan 1936, appointed Commanding 1st Military District 26 Jan 1936, appointed District Officer Commanding 11th District 14 Dec 1939, Commander Royal Artillery 1st Canadian Division 15 Dec 1939, Commander Corps Royal Artillery VII British Corps 19 Jul 1940, Commander Corps Royal Artillery I Canadian Corps England 24 Dec 1940, Commanding Officer Group C Canadian Reinforcement Units England, Chief Canadian Section Headquarters 1st Echelon Allied Armies Italy, Honorary Colonel 43rd Heavy Anti-Aircraft Regiment RCA on 26 Jul 1949, Construction Manager Homestead Land Holdings Ltd in 1970, deceased 11 Jun 1972. ​Stewart, Jim HH; Lance Bombardier in 1969. Stewart, Malcolm Aubrey; Taken on strength 31 Battery 15th (Vancouver) Coast Brigade RCA NPAM 6 Aug 1940, assigned regimental number V9492, assigned new regimental number K415593. 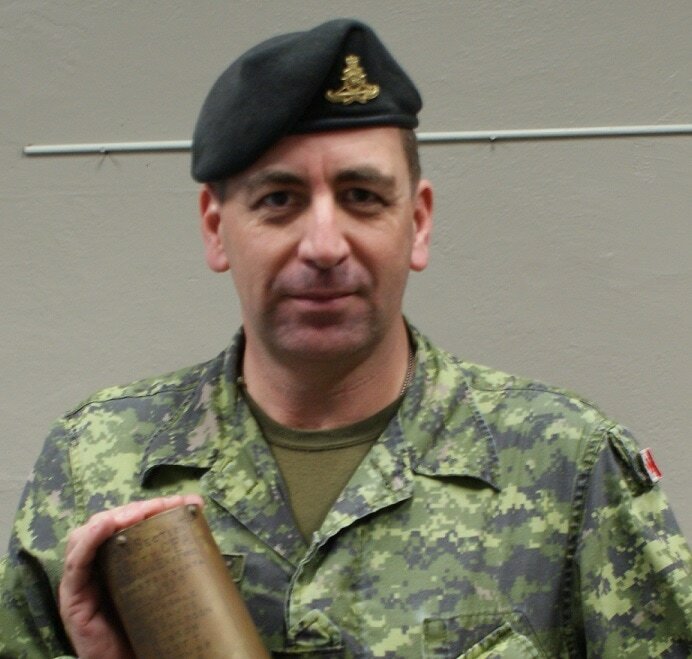 ​Stewart, Michael F; Taken on strength as a Gunner in 15th Field Artillery Regiment RCA, Bombardier from 2014 to 2017. ​Stewart, Paul Andrew; Taken on strength as a Gunner in 15th Field Artillery Regiment RCA on 3 Jul 1978, qualified General Military Training on 27 Aug 1978, qualified Artilleryman Trade Qualification 1 on 2 Jun 1979, promoted Bombardier on 3 Jul 1979, qualified Artillery Technician Trade Qualification 2 on 3 Aug 1979, promoted Master Bombardier on 2 Jul 1981, qualified Basic Parachutist on 28 Jan 1982, qualified Detachment Commander on 31 Aug 1981, promoted Sergeant on 13 Jan 1983, qualified TQ4 Advanced Artillery Technician on 12 Aug 1984, component transferred to the Regular Force, Sergeant from 1987 to 1992, Warrant Officer from 1993 to 2002, Master Warrant Officer from 2002 to 2006, Commissioned Captain 2007 to 2013. ​Stobbe, Robert Wayne; ​Taken on strength as a Gunner in 15th Field Artillery Regiment RCA on 2 Mar 1976, appointed Officer Cadet on 7 May 1976, promoted Second Lieutenant on 1 Sep 1976, released 1 Sep 1978. 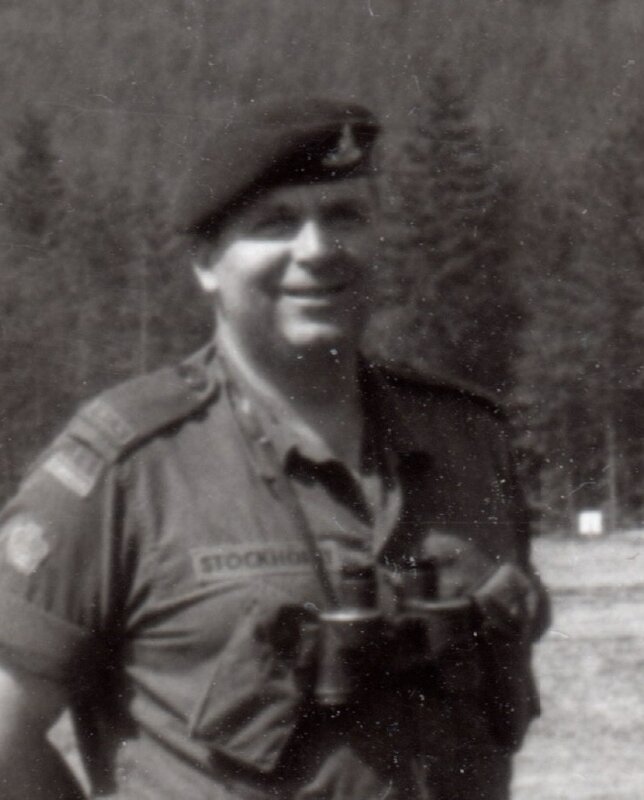 ​Stockhorst, Klaus B; Regular Force Support Staff Warrant Officer from 1988 to 1990. Stokes, Alfred; Taken on strength Canadian Active Service Force as a Gunner 5 Jul 1940, regimental number K15179, taken on strength 15th (Vancouver) Coast Brigade RCA CASF 5 Jul 1940, taken on strength 16th Light Anti-Aircraft Battery RCA CASF 4 Oct 1940, taken on strength Canadian Amy Reinforcement Unit due to hospitalization 21 Oct 1941, rejoined unit 3 Mar 1942, appointed Acting Lance Bombardier 22 Jun 1942, appointed Acting Bombardier 10 Jul 1942, embarked for France 3 Sep 1942, disembarked in United Kingdom 3 Sep 1942, appointed Acting Lance Sergeant 14 Oct 1942, confirmed Bombardier 25 Oct 1942, granted 9 days leave 28 Dec 1942, confirmed rank of Lance Sergeant 20 Jan 1943, granted 9 days leave 14 May 1943, appointed Acting Sergeant 16 Apr 1943, granted 9 days leave 23 Jul 1943, confirmed Sergeant 8 Oct 1943, granted 9 days leave 30 Nov 1943, awarded Canadian Volunteer Service Medal with clasp 1 Jan 1944, posted to (G) Bty (P.E.) 20 Mar 1944, granted 9 days leave 3 Apr 1944, awarded Canadian 1939-1945 Star 1 Jun 1944, posted to C Battery (Refit) 13 Jun 1944, proceeded on CMHQ Course Care and Maintenance LAA Equipment 12 Jul 1944 , granted 6 days special leave 8 Nov 1944, emplaned United Kingdom for NW Europe 17 Feb 1945, taken on strength Calgary Highlanders 1 Mar 1945, deceased 10 Mar 1945, buried Canadian Military Cemetery Bedburg Germany, reburied Groesbeek Canadian Military Cemetery Nijmegen Holland. ​Stone, Clifford Ervin; ​Taken on strength 68th Overseas Depot Battery Canadian Field Artillery Sep 1916, England Jan 1917, France Second Canadian Divisional Ammunition Column May 1917, 22nd Howitzer Battery May 1917, Bombardier Dec 1917, gassed Buissy Arras Sept 7 1918, invalided to England Dec 1918 and Canada May 1919, discharged Sept 1919. ​Stone, Kelly Edith Mary; Taken on strength as an Administrative Clerk in 15th Field Artillery Regiment RCA on 29 May 1975, qualified General Military Training on 31 Aug 1975, appointed officer Cadet on 9 Dec 1975, promoted Second Lieutenant on 26 Oct 1976, promoted Lieutenant on 1 Sep 1977, transferred to 30th Field Artillery Regiment RCA on 10 May 1979, promoted Captain 1980. ​Stone, Robert Gordon; ​Taken on strength as a Gunner in 15th Field Artillery Regiment RCA on 7 Nov 1985, qualified General Military Training on 1 Feb 1986, qualified Trade Qualification 1 Artillery on 10 Apr 1986, qualified Artillery Communications on 10 Nov 1986, qualified Non_Trade Driver on 6 dec 1986, promoted Bombardier on 24 Sep 1987. ​Storey, Douglas Arthur; Taken on strength as a Gunner in 15th Field Artillery Regiment RCA on 18 Nov 1971, qualified general military Training on 13 May 1972, qualified Artilleryman on 31 Mar 1973, qualified Transport Operator on 17 Aug 1973, struck off strength on 8 Mar 1975, renroled Royal Westminster Regiment on 15 Jan 1980, transferred to 15th Field Artillery Regiment RCA on 22 Jun 1983, qualified Trade Qualification 2 Artillery Driver on 18 Oct 1984, qualified Artillery Trade Qualification 1 on 7 Jul 1984, promoted Master Bombardier on 18 Oct 1984, transferred to Royal Westminster Regiment on 1 Apr 1986. Stott, Timothy James; ​Taken on strength as a Gunner in 15th Field Artillery Regiment RCA on 23 Jun 1992, qualified QL2 General Military Training on 24 Jul 1992, qualified QL3 Artillery on 14 Aug 1992, transferred to The Royal Westminster Regiment on 1 Sep 1992. ​Stout, Terrence David; Taken on strength from Supplementary Reserve to be Captain (RCAMC) and to be Medical Officer (Supernumerary) in 15 Field Regiment RCA on 15 Jun 1950, struck off strength on retirement on 30 Sep 1951, attached fap from Supplementary Reserve (RCAMC) on 15 Oct 1954, cancelled attachment fap from Supplementary Reserve (RCAMC) on 1 Dec 1955. 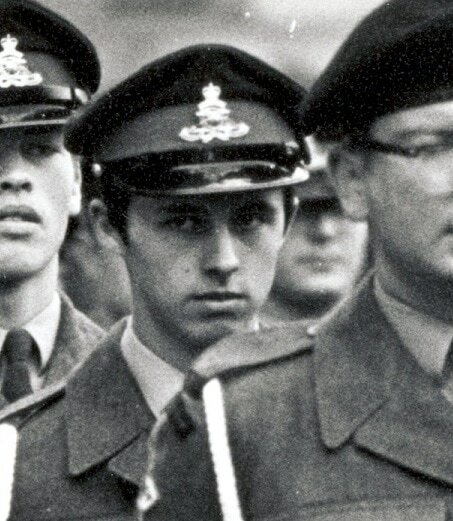 ​Stowe, Robert Alan; Taken on strength in 15th Field Artillery Regiment RCA on 3 Jul 1978, released 27 Aug 1978. ​​Stratton, Lester Ernest; Taken on strength 15th Field Regiment RCA with former service Canadian Army (M) on 16 Oct 1958. Stratton, Terry Warren; Taken on strength as a Gunner in 15th Field Artillery Regiment RCA on 2 Jun 1992, qualified QL2 General Military Training on 24 Jul 1992, qualified FMC Driver Wheeled on 14 Feb 1993, qualified QL3 Artillery on 28 Jul 1993, qualified QL4 Infantry Communications on 5 Nov 1993, promoted Bombardier on 19 May 1994, qualified QL4 Artillery communications on 12 Aug 1994, released on 5 Mar 1996. Strebe, David Edgar; Private in 158 Battery in 1969, taken on strength as a Bombardier with previous service on 1 Jun 1971, qualified Senior Non-Commissioned Officer on 24 Mar 1972, promoted Sergeant on 1 Apr 1972, released on 13 Feb 1975. Street, Jason D; Taken on strength 5th (BC) Field Battery RCA, taken on strength 15th Field Artillery Regiment RCA, Sergeant from 1999 to 2008, Taken on strength 5th (BC) Field Regiment RCA. Street, Roger William; Taken on strength as a Gunner in 15th Field Artillery Regiment RCA on 25 May 1985, qualified General Military Training on 9 Aug 1985, qualified QL3 Artillery on 20 Sep 1985, qualified TQ2 Artillery Technician on 9 Aug 1986, promoted Bombardier on 1 Jan 1987, qualified BTT Basic Communications on 24 Jul 1987, released on 5 Apr 1990. Street, Trevor Graham; Taken on strength as a Gunner in 15th Field Artillery Regiment RCA on 25 May 1985, qualified General Military Training on 9 Aug 1985, released on 16 Jan 1986. ​Stretton, David Owen; Taken on strength as a Gunner in 15th Field Artillery Regiment RCA on 28 Feb 1976, released 29 Mar 1976. Strike, Leslie Arthur; Enrolled in the Royal Air Force in 1946 as a Flight Engineer 4, competed at Bisley on RAF rifle team placing 99 out of 1600 competitors, commissioned in 1948, transferred to the 4th City of London Regiment Royal Artillery (Royal Fusiliers) as Lieutenant, taken on strength 15th Field Regiment RCA as Second Lieutenant on 22 Aug 1952, promoted Lieutenant on 25 Jul 1955, appointed Honorary Sergeant in 1953, struck off strength on release on 25 Jun 1957, past president of Stanley Drugs in North Vancouver and Novopharm. Strina, Rodney Lionel; Taken on strength as a Gunner with 58th Battery 15th (Vancouver) Coast Regiment RCA NPAM on 31 Jul 1940, assigned regimental number V1003, assigned new regimental number K416607. ​Stuart, FR; Taken on strength as a Lieutenant in the 85th Battery 15th Brigade Canadian Field Artillery on 15 July 1920, Captain from 1923 to 1939, Adjutant from 1924 to 1925, 31st Field Battery from 1926 to 1927, Corps Reserve of Officers in 1939. Stuart, Philip George; Taken on strength as a Gunner with 85th Battery 15th (Vancouver) Coast Regiment RCA NPAM on 2 Aug 1940, assigned regimental number V10446, assigned new regimental number K417561. 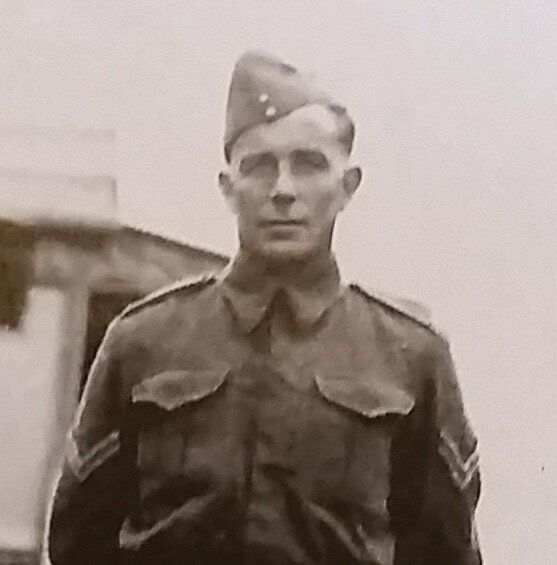 Sturgess, George Daniel; Taken on strength as a Gunner with 58th Battery 15th (Vancouver) Coast Regiment RCA NPAM on 14 Aug 1940, assigned regimental number V1004, assigned new regimental number K416608. Sudbury, Archibald Eric James; Taken on strength 15th Field Brigade RCA in 1937, unit renamed 15th Coast Brigade RCA 15 Jul 1938, unit renamed 15th (Vancouver) Coast Brigade RCA 15 Jul 1938, transferred to 16th Battery, 3rd Light Anti-Aircraft Regiment RCA in 1940, attached to 21st Army Group Special Service 7 Jun 1944, returned to unit Aug 1944, awarded Croix de Guerre avec etoile d'argent 28 Apr 1945, deceased 29 Apr 2011, buried North Vancouver Cemetery North Vancouver BC. Sugie, SI; Bombardier in the 43rd Medium Anti-Aircraft Regiment RCA Band in 1958. ​Sugrim, Anand (Jerry) Persaud; Taken on strength as an Acting Bombardier in 15th Field Artillery Regiment RCA with previous service on 3 Feb 1990, qualified General Military Training, qualified BTT Artillery on 2 Aug 1990, released on 18 Oct 1990. Sumbulian, John; Taken on strength as a Gunner in 15th Field Artillery regiment RCA on 5 Feb 1981, awarded the Challenge Cup in 1981, released on 15 Nov 1982. 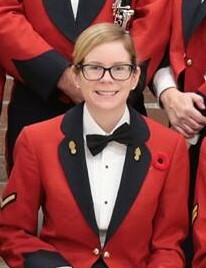 Sumpton, Melissa M; ​Taken on strength as a Musician in 15th Field Artillery Regiment RCA, Bombardier from 2014 to 2016, Master Bombardier in 2017. Sunderland, WF; Captain in 1958, Medical Officer, 43rd Medium Anti-Aircraft Regiment RCA in 1958. ​Sung, Michael Won; Taken on strength as a Supply Technician in 15th Field Artillery Regiment RCA on 27 May 1999, qualified QL2 General Military Training on 26 Aug 1999, qualified QL3 Supply Technician on 24 Aug 2000, transferred to 12 Service Battalion on 19 Feb 2001. Surges, Lawrence Charles; Taken on strength as a Musician in 15th Field Artillery Regiment RCA on 28 Feb 1976, qualified Musician on 30 Jul 1976, promoted Bombardier on 1 May 1977, qualified Advanced Musician Trade Qualification 3 on 2 Sep 1977, qualified Musician Trade Qualification 4 on 19 May 1978, promoted Master Bombardier on 1 May 1979, transferred to Regular Force on 12 Jul 1979, promoted Sergeant, promoted Warrant officer, promoted Master Warrant Officer, promoted Chief Warrant Officer. ​Surges, Leonard John; Taken on strength as a Musician in 15th Field Artillery Regiment on 28 Feb 1976, qualified Musician Trade Qualification 1 on 13 Apr 1977, qualified Musician Trade Qualification 2 on 23 Apr 1977, promoted Bombardier on 1 May 1977, promoted Master Bombardier on 1 May 1979, transferred to 2nd Battalion Royal New Brunswick Regiment on 1 Aug 1979. Sutherland, Aaron Christopher; Taken on strength as a Gunner in 15th Field Artillery Regiment RCA on 9 Jul 1999, qualified QL2 General Military Training on 26 Aug 1999, awarded Most Efficient Recruit of the Year trophy 1998, qualified Artillery Communications on 8 Mar 2001, qualified QL3 Supply Technician on 3 Aug 2001, qualified LFC Driver Wheeled on 26 Jan 2002, awarded Most Efficient Corporal of the Year 2003 . 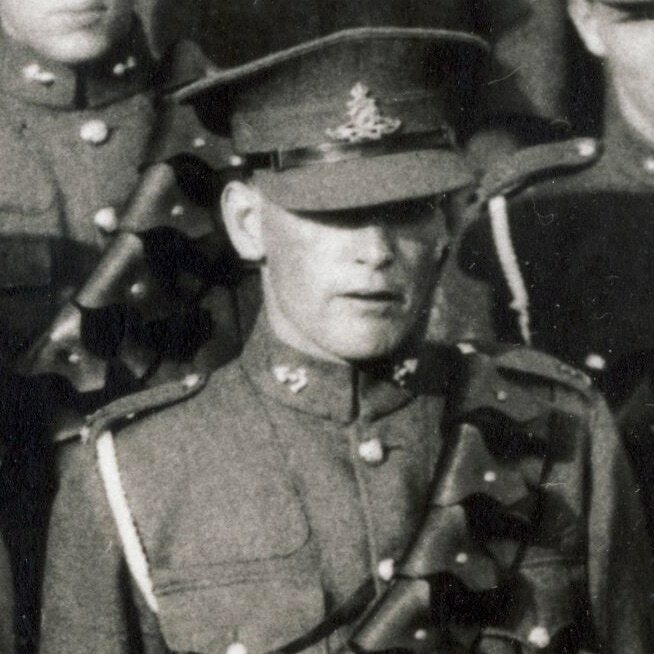 ​Sutherland, Dooley; Private in 31 Battery in 1934. Sutherland, GE; Taken on strength 15th Field Artillery Regiment RCA, Private in 85 Battery in 1969. ​Sutherland, JA; Taken on strength in 15th Field Artillery Regiment RCA, Corporal. ​Sutherland, James Hector; Taken on strength 5th Medium Battery 15th Brigade Canadian Artillery 18 Jun 1928, promoted Lance Sergeant 5 Jan 1929, City of Vancouver Policeman from Oct 1930 to Aug 1939, promoted Battery Sergeant Major 1 May 1935, transferred 31st Field Battery Canadian Artillery, Second Lieutenant with 11th Anti-Aircraft battery 1st Anti-Aircraft Regiment RCA 1 Jan 1940, posted to 91/111 Battery 9 Jul 1940, disembarked Gourock Scotland 5 Sep 1940, promoted Captain and taken on strength 4 Canadian Anti Tank Regiment RCA on 26 Feb 1942, to be Acting Major and taken on strength with 1st Anti-Tank Regiment RCA on 13 Apr 1943, confirmed Major on 2 Sep 1943, died of wounds received in action on 28 Aug 1944, buried at Montecchio British Empire cemetery. ​Sutherland, Robert James; Taken on strength as a Vehicle Technician in 15th Field Artillery Regiment RCA with previous service 12 Jul 1982, qualified QL 1, 2 & 3 Boatswain, qualified General Military Training 11 Aug 1982, qualified TQ1 Vehicle Technician 7 Sep 1982, promoted Corporal 7 Sep 1982, qualified TQ2 Vehicle Technician 24 Jun 1983, qualified TQ3 Vehicle Technician 25 Jul 1983, transferred to 12 Service Battalion 13 Jun 1996, deceased 28 Dec 2014. Sutherland, WR; Officer Cadet in 1958, 43rd Medium Anti-Aircraft Regiment RCA in 1958. ​Suttis, John Alexander Sutherland; Taken on strength as a Gunner with 58th Battery 15th (Vancouver) Coast Regiment RCA NPAM on 31 Jul 1940, promoted Bombardier 15 Aug 1940, appointed Acting Lance Sergeant 15 Aug 1940, attended instructors course Heals Camp on 19 Aug 1940, to be Acting Battery Quartermaster Sergeant 1 Sep 1940, assigned new regimental number K416502. Sutton, Jack Stanley; Taken on strength 31 Battery 15th (Vancouver) Coast Brigade RCA NPAM 6 Aug 1940, assigned regimental number V9493, assigned new regimental number K415594. ​Sutton, Lesley Claire; Taken on strength as an Administrative Clerk in 15th Field Artillery Regiment RCA on 12 Jun 1975, released 3 Feb 1976. ​Swanski, Mark Anthony; Taken on strength in 15th Field Artillery Regiment RCA on 15 Mar 1977, never enrolled, paid two days pay from unit funds. 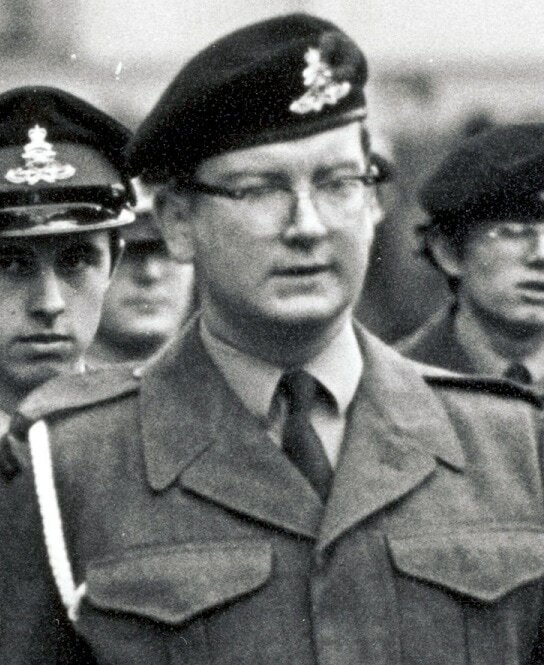 ​Sweeney, John Paul; Taken on strength as a Gunner in 15th Field Artillery Regiment RCA on 24 Feb 1976, qualified General Military Training on 5 Jun 1976, qualified Artilleryman Trade Qualification 1 on 3 Aug 1976, released 14 Apr 1977. Sweet, Albert Bramwell; Taken on strength as a Musician in 43rd Medium Anti-Aircraft Regiment RCA CA(M) Military Band in 1958, qualified Bandsman Group 3 on 1 Aug 1959, promoted Substantive Sergeant on 1 Dec 1959, Warrant Officer Class II in 1962, awarded Brigadier Dumoulin trophy in 1962, Warrant Officer Class I 1962 to 1969, Bandmaster in 1969, struck off strength 1969, deceased 9 Mar 2008. ​Sweet, RJ; ​Taken on strength as a Musician in the 43rd Medium Anti-Aircraft Regiment RCA CA(M) Band in 1958, struck off strength on 30 Aug 1959, deceased 30 Aug 1959. ​Swenson, Paul Sidney; ​COTC Private 1914-1915, 68th Battery Canadian Field Artillery Nov 1916, England Dec 1916, France 15th Battery April 1917, Canada and discharged June 1919. 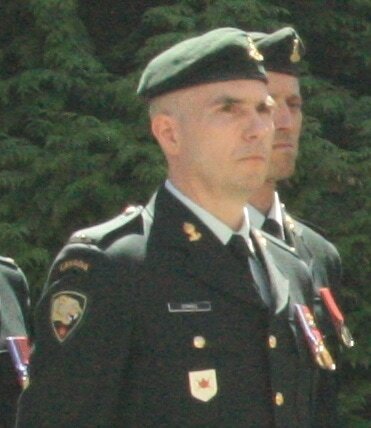 Switzer, D Starr; Enrolled as a Musician in The Royal Westminster Regiment 9 Dec 1993, transferred to 15th Field Artillery Regiment RCA 31 Mar 1995, promoted Bombardier 23 May 1996, promoted Master Bombardier 6 Oct 2005, awarded Canadian Forces Decoration 9 Dec 2005, Band Pay NCO 2005 to 2017, awarded clasp to Canadian Forces Decoration 26 Jul 2016, appointed Orderly Room 2IC 1 May 2017. 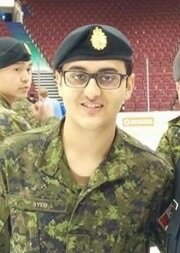 ​Syed, Zeshan M; Taken on strength as a Gunner in 15th Field Artillery Regiment RCA, Private in 2016. Sylka, David Michael; Taken on strength as a Gunner in 15th Field Artillery Regiment RCA on 27 Apr 2004, Master Bombardier from 2014 to 2017. 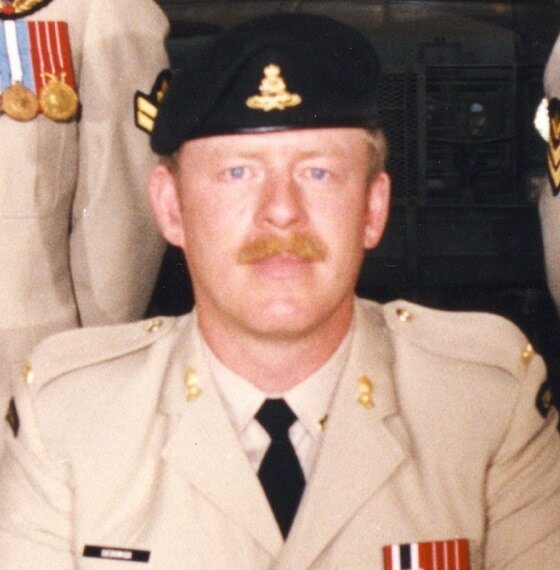 Szabo, Daniel Stefan; Taken on strength as a Gunner in 15th Field Artillery Regiment RCA on 23 Jun 1982, qualified general Military Training on 11 Aug 1982, qualified Artilleryman Trade Qualification 1 on 14 Oct 1982, transferred to The British Columbia Regiment (DCO) on 1 Dec 1982. Szeman, Joseph Albert; Taken on strength as a Gunner in 15th Field Artillery Regiment RCA on 24 Jun 1993, qualified General Military Training on 6 Mar 1994, qualified QL3 Artillery on 30 Aug 1982, released on 31 Jan 1995.